Steven W. Brewer Sr., 67, of Pembroke Township, passed away Saturday (April 13, 2019) at his home. He was born Feb. 19, 1952, in Chicago, the son of Johnnie Brewer and Pauline Garrett Brewer. Steven married Julia (Johnson) Brewer on July 22, 1972, in Hopkins Park. Steven was a custodian at Hilton Garden Inn hotel in Kankakee. He was a resident of the Kankakee County area for 53 years. His hobbies included music, shopping, working on cars and watching Western movies. Surviving are his wife, Julia Brewer, of Pembroke Township; three sons, Steven Brewer Jr., of Indianapolis, Quentin Brewer, of Indianapolis, and Brandon Brewer, of Hopkins Park; three daughters, Camaille (Wayne Jr.) Shepard, of Oviedo, Fla., Nicole Brewer, of Hopkins Park, and Shara Brewer, of Momence; five brothers, Charles Earl Brewer, of Minneapolis, Tyrone Hill, of Minneapolis, Samuel Hill, of Minneapolis, James Hill Jr., of Kankakee, and Dennis Brewer, of Nebraska; two sisters, Savannah Brewer, of Minneapolis, and Patricia (Roger) Allen, of Atlanta; and 13 grandchildren. Preceding him in death were one son, Quincy Brewer; and his parents. Visitation will be from 9 a.m. Saturday, April 20, until the 11 a.m. funeral service at Bible Witness Church, 16089E 2500 S. Road, Pembroke Township, with the Rev. Jorell Glass officiating. Burial will be in Momence Cemetery, Momence. Paul Wright Jr., 63, of Pembroke Township, passed away March 27, 2019, at Hines V.A. Hospital in Hines. He was born Jan. 16, 1956, in Chicago, the son of Paul Wright Sr. and Emma (Thomas) Wright. Paul married Clanna Williams on Jan. 21, 1982, in Hopkins Park. Paul was a resident of the Hopkins Park area for 63 years, working as a farmer and running a lawn care business. He was a graduate of St. Anne High School. He served our country as a private in the U.S. Army. Paul’s hobbies included fishing and hunting. Surviving are his wife, Clanna Wright, of Pembroke Township; one son, Paul (Luebertha) Wright III, of Kankakee; and two sisters, Victoria (Sanford) Billops, of Bourbonnais, and Debbie Wright, of Kankakee. Preceding him in death were his parents; and one sister. Visitation will be from 2 p.m. to 6 p.m. Thursday, April 4, at Leggett Funeral Home in Hopkins Park. An additional time for visitation will be from 9 a.m. Friday, April 5, until the 10 a.m. funeral service at St. Anne Woods Chapel, 13162 E 6000S Road, Pembroke Township, with the Rev. Louis Barnes officiating. Burial will be in Mound Grove Gardens Cemetery in Kankakee. 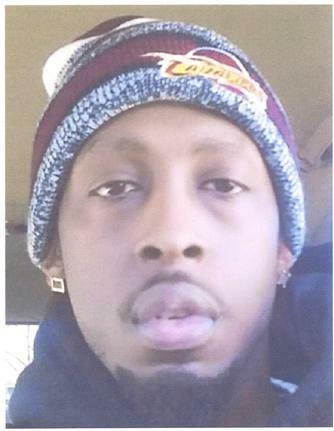 Billy Thurman, 25, of Gary, Ind., passed away Thursday (March 21, 2019) in Norcross, Ga. He was born Jan. 27, 1994, in Gary, Ind., a son of William Thurman and Betty (Warren) Thurman. Billy was a carpenter for Thurman Construction Company. His hobbies included singing and doing art work. Surviving are his parents, William and Betty Thurman, of Gary, Ind. 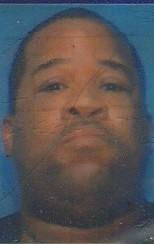 He has two brothers, Jason Warren, of Magee, Miss., and William Thurman, of Gary, Ind. ; and five sisters, Sophia (Willie) Deer, of Gary, Ind., Lisa Thurman, of Gary, Ind., Delores, Thurman, of Gary, Ind., Alivia Kelly, of Florida, and Becky Thurman, of Gary, Ind. ; along with a host of aunts, uncles, nieces, nephews and cousins. Visitation will be from 10 a.m. Saturday, March 30, until the 11 a.m. funeral service at Rehoboth Church, 15729 E 3000S Road, Pembroke Township, with the Rev. Rose Covington officiating. Burial will be in the Thurman Family Plot. A Go Fund Me account has been established for the Thurman Family. 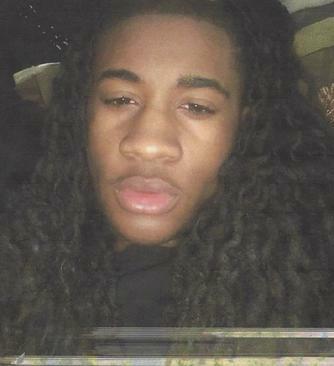 Will Thurman, 17, of Gary, Ind., passed away Thursday (March 21, 2019) in Norcross, Ga. He was born Feb. 11, 2002, in Gary, Ind., a son of William Thurman and Betty (Warren) Thurman. Will was a carpenter for Thurman Construction Company. 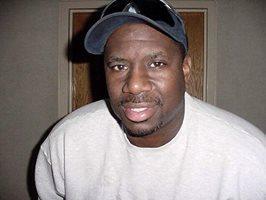 Anthony L. Dabney, 36, of Pembroke Township, passed away March 6, 2019, at home. He was born Oct. 19, 1982, in Kankakee, the son of Elijah Dabney Jr. and Kathleen Willis. 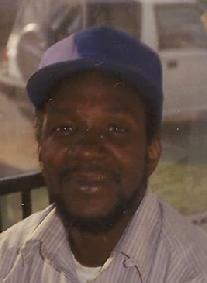 Anthony was a resident of the Kankakee County area for 36 years. Anthony loved to sing and rap. He attended Wilson Memorial Church of God in Christ. Surviving are his mother, Kathleen Dabney, of Pembroke Township; one sister, Latisha Dabney, of Pembroke Township; three brothers, Elijah Dabney Jr., of Pembroke Township, Elisha Dabney, of Pembroke Township, and Jerome Dabney, of Pembroke Township; and his paternal grandmother, Barbara Crite, of Florida. Preceding him in death were his father; and his maternal grandparents. Visitation will be from 9 a.m. Saturday, March 16, until the 11 a.m. funeral service at Church of the Cross, 13043 E 2260S Road, Pembroke Township, with the Rev. Jorell Glass officiating. Burial will be in Momence Cemetery, Momence. 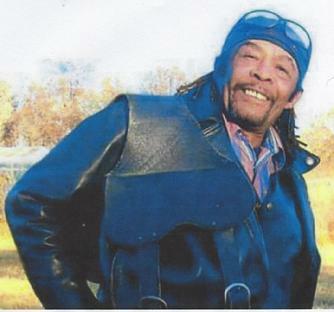 Leslie “Scrap” Thomas, 60, of Sun River Terrace, passed away Feb. 26, 2019, at Riverside Medical Center in Kankakee. He was born Sept. 14, 1958, in Eutaw, Ala., the son of Leslie Thomas Sr. and Mary Jean Crutcher. Leslie was the owner of Scrap’s Sensational Hair Salon and a resident of the Kankakee County area for 49 years. He was a graduate of St. Anne High School and Broadway Beauty School. He was a Chicago Bears fan and enjoyed playing pool, bird watching, playing chess, watching Western movies, listening to jazz music and spending time with family. Surviving are a stepdaughter, Summer Allen, of Chicago; and a stepson, Cornell Jones, of Chicago. Also surviving are his mother, Mary Jean Thomas, of Sun River Terrace; and his father, Leslie Thomas Sr., of Chicago Heights; three sisters, Gwendolyn Crutcher, of Sun River Terrace, Mattie Boyden (Gerald Turner), of Hopkins Park, and Melvina Thomas, of Chicago; five brothers, The Rev. Kelvin (Delphine) Thomas, of Pembroke Township, Gregory (Alametea) Thomas, of Kankakee, the Rev. Victor (Danielle) Thomas, of Hartford, Conn., Terrance (Lakisha) Thomas, of Springfield, and Marquise L. Thomas, of Chicago Heights. Preceding him in death were his maternal and paternal grandparents; great-nephew; and two great-nieces. Visitation will be from 10 a.m. Thursday, March 7, until the 11 a.m. funeral service at Second Baptist Church, 717 N. Wildwood Ave., Kankakee, with the Rev. Victor Thomas officiating. Burial will follow in Momence Cemetery, Momence. Charles R. Draine, 70, of Pembroke Township, passed away Friday (Feb. 15, 2019) at Hines Veterans Administration Hospital in Hines. He was born Feb. 28, 1948, in Lexington, Miss., the son of Charles Draine and Mattie Wilkins. Charles was a heavy equipment operator for Gallager Asphalt Company and a resident of the Pembroke Township area for 40 years. He served our country in the U.S. Marine Corps as a corporal during the Vietnam War. Charles was a member of NABVET Pembroke Chapter 0084 and a member of the Kankakee County Board, 1992. He received an associate’s degree in liberal arts from Kankakee Community College, was a lifetime member of Chosen Few Motorcycle Club in Phoenix and served as Pembroke Township Road Commissioner from 2013 to 2017. Surviving are four sons, Dion (Tiffany) Dansby Sr., of Kankakee, Derrick Draine Sr., of Pembroke Township, Brad Willis, of Schaumburg, and Robert Mueller, of Florida; four daughters, Katina Johnson, of Augusta, Ga., Aishia (Jason) Jones Sr., of Glendale, Ariz., Diane Draine, of Pembroke Township, and Mone’ Draine, of Hollywood, Fla.; two brothers, Jerome (Diane) Wilkins, of Chicago, and Roosevelt Anderson, of Chicago; three sisters, Sylvia Jackson, of Chicago, Linda Montgomery, of Forest Park, and Charlene Draine, of Detroit; 22 grandchildren; and five great-grandchildren. Preceding him in death were his wife; parents; three brothers; and one sister. Visitation will be from 4 p.m. to 7 p.m. Friday, Feb. 22, at Church of the Cross, 13043 E 2260S Road, Pembroke Township. An additional time for visitation will be from 10 a.m. Saturday, Feb. 23, until the 11 a.m. funeral services, also at the church, with the Rev. Louis Barnes officiating. Burial will be at noon Monday, Feb. 25, in Abraham Lincoln National Cemetery, Elwood. Arletha Rogers, 39, of Kankakee, passed away Dec. 20, 2018 at Rush University Medical Center in Chicago. She was born Sept. 12, 1979, in Kankakee, the daughter of Victor Rogers Sr. and Lynne Tucker. 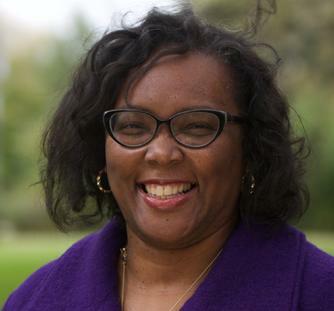 Arletha worked as a mental health tech II at Shapiro Developmental Center in Kankakee. She had been a resident of the Kankakee area for 39 years. Her hobbies included baking, gardening, taking care of her pets, watching Netflix and spending time with her family. Surviving are one son, Emanuel Rogers, of Kankakee; one daughter, Tia Rogers, of Kankakee; paternal grandmother, Lillie Mae Rogers, of Meadville, Miss. ; her father, Victor (Lorraine) Rogers Sr., of Pembroke Township; and her mother, Lynne Rogers, of Kankakee; one brother, Victor (Lashonda) Rogers Jr., of Bourbonnais; and three sisters, Aretha Rogers, of Bradley, Angela Rogers, of Kankakee, and Lashonda Rogers, of Bourbonnais. Preceding her in death were her maternal grandmother; paternal grandfather; and many cousins. Visitation will be from 9 a.m. Saturday, Dec. 29, until the 10 a.m. funeral service at Church of the Cross, 13043 E. 2260S. Road, Pembroke Township, with the Rev. Mary Jackson officiating. Burial will be in Momence Cemetery, Momence. Tanya Neely, 58, of Pembroke Township, passed away Friday (Nov. 2, 2018) at her home. She was born Nov. 5, 1959, in Chicago, the daughter of Onteril Gallatin and Rosebud Hodges. Tanya married Redmon Neely on Sept. 30, 1988, in Kankakee. Tanya had been a resident of the Pembroke Township area for all of her 58 years. 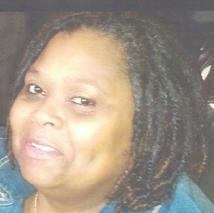 She was a certified nursing assistant at Kankakee Royal Nursing Home. She had received her early childhood development and liberal arts degrees from Kankakee Community College. Tanya’s hobbies included singing, traveling, cooking, reading novels and reading the Bible. 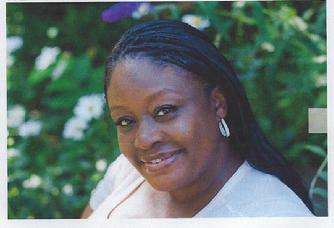 Tanya was a member of Pembroke Fellowship Church in Pembroke Township. Surviving are her husband, of Pembroke Township; son, Redmond (Ashley) Neely, of Chicago; daughters, Marion “Angie” (Delon) Norwood, of Bloomington, Catria Neely, of Indianapolis, Lytaka (Jamal) Allen, of Hazel Crest, Anjelica Neely, of Alabama, Eboni (Tyler) Odeneal, of Phoenix, and Tandalaya Neely, of Phoenix; her mother, of Pembroke Township; sisters, Sharon (Charles) Brice, of St. Paul, Minn., Carolyn Green, of St. Paul, Antionette Gallatin, of Chicago, and Lillian (Artemio) Alejandrea, of Chicago; brothers, Onteal Hodges, of Pembroke Township, Abraham Lane, of Gary, Ind., and Micheal Lane, of Pembroke Township; 19 grandchildren; and six great-grandchildren. Preceding her in death were a stepdaughter; stepson; two brothers; a sister; mother-in-law; and brother-in-law. Visitation will be from 9 a.m. Friday, Nov. 9, until the 11 a.m. funeral services at Pembroke Fellowship Church, 13279 E 5000S Road, Pembroke Township, with the Rev. Rodney Lake officiating. Cremation rites will be accorded. Christine Richardson, 67, of Pembroke Township, passed away Wednesday (Oct. 24, 2018) at her home. She was born March 1, 1951, in Starksville, Miss., the daughter of Wilbert Higgins and Alma L. Johnson. Christine was a secretary at the Kankakee County Administration Building. She was a resident of the Pembroke Township area for 21 years. She also had been the secretary for the Pembroke School Board (2010) and an election judge and worked at Paramount Television Studios in Hollywood, Calif.
She was a member of Sacred Heart Catholic Church in Hopkins Park. Christine enjoyed dining and visiting restaurants. Surviving are a daughter, Sandra Johnson, of Pembroke Township; her mother, Alma L. Jarrett, of Pembroke Township; brothers, Paul Jarrett Jr., of Otto Township, Lonnie (Josie) Jarrett, of Pembroke Township, Steven (Irene) Jarrett, of Pembroke Township, Martin (Regina) Jarrett, of Memphis, Tenn., Darryl (Inez) Jarrett, of Pembroke Township, and Ronald (Lynette) Jarrett, of St. Paul, Minn.; sisters, Rena (Kevin Dorsey) Jarrett, of Kankakee, Paula (Keith) Stampley, of Pembroke Township, Benita Ellis, of Pembroke Township, Mary (Michael) Shorter, of Kankakee, Bernice (Rory Tucker) Jarrett, of Pembroke Township, and Novella Yvonne Jarrett, of Pembroke Township; two grandchildren; and two great-grandchildren. Preceding her in death were her father; one daughter, Ursula Johnson; one brother, Curtis Jarrett; and one sister, Denise Carruthers. Visitation will be from 9 a.m. Saturday, Nov. 3, until the 11 a.m. funeral Mass at St. Patrick’s Catholic Church in Momence, with the Rev. Raymond Lescher officiating. Burial will follow in Momence Cemetery, Momence. Please sign her online guestbook at leggettfuneral.net. 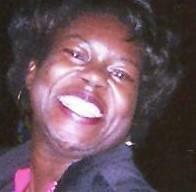 Wanda L. (Peachez) Johnson, 44, of Pembroke Township, passed away Friday (Oct. 19, 2018) at Riverside Medical Center in Kankakee. She was born Jan. 15, 1974, in Chicago, the daughter of Howard Jones and Sarah (Johnson) Jones. Wanda was a veteran nursing assistant at the Illinois Veterans Home at Manteno. She had been a resident of the Pembroke Township area for 30 years. Wanda's hobbies included cooking, watching YouTube, making crafts, couponing and spending time with her children. She was a member of Church of the Cross in Pembroke Township. Surviving are a son, Andre Bridges Jr., of Pembroke Township; five daughters, Shaniqua Johnson, of Pembroke Township, Marquisha Johnson-Bridges, of Pembroke Township, Darneisha Bridges, of Pembroke Township, Juaniesha Sherrod, of Pembroke Township and Anto'Nya Crite, of Pembroke Township; and special friend, Courtney Baines. Preceding her in death were her father, Howard Jones (just recently, on Oct. 2, 2018) and mother, Sarah Jones; two sisters; and one brother. Visitation will be from 9 a.m. Saturday, Oct. 27, until the 11 a.m. funeral service at Church of the Cross, 13043 E 2260S. Road, Pembroke Township. The Rev. Jonath Harris will officiate. Cremation rites will be accorded. Howard J. Jones, 83, of Pembroke Township, passed away Oct. 2, 2018, at Illinois Veterans Home at Manteno. He was born June 13, 1935, in Texarkana, Texas, the son of Robert Jones Sr. and Rachel (Hale) Jones. Howard was the manager of Sacred Heart Resale Shop in Hopkins Park. He was a resident of the Pembroke Township area for 50 years. He was a veteran of the U.S. Army PFC. Howard's hobbies included cooking, fishing, baking, working in the yard, watching Western movies and collecting horror movies. He was a member of Sacred Heart Catholic Church in Hopkins Park. Surviving are two daughters, Wanda Johnson, of Pembroke Township, and Christine Jones, of Austin, Texas; one sister, Cora Lee Sykes, of Palm Bay, Fla.; and seven grandchildren. Preceding him in death were his wife; four brothers; and four sisters. Visitation will be from 10 a.m. Monday, Oct. 15, until the 11 a.m. Mass at St. Patrick's Catholic Church in Momence, with the Rev. Raymond Lescher officiating. Burial will be in Abraham Lincoln National Cemetery in Elwood. Annie White, 90, of Pembroke Township, passed away Sept. 26, 2018, at Riverside Medical Center in Kankakee. She was born Feb. 14, 1928, in Tunica, Miss., the daughter of James and Idella (Bobo) Davis. Annie was a homemaker and resident of the Pembroke Township area for 35 years. She was a foster grandparent, member of Greater St. Paul Baptist Church and also an usher, Sunday school teacher and church treasurer. Her hobbies included making quilts, canning food and gardening. Surviving are a sister, Novellar Bobo, of Chicago; two brothers, S.T. (Barbara) Bobo, of Chicago; and Charles Bobo, of Pembroke Township; along with a host of nieces, nephews, cousins and other relatives. Preceding her in death were her husband, Percy White; three brothers; and one sister. Mae E. Weathersby, 90, of Pembroke Township, passed away Tuesday (Aug. 14, 2018) at Riverside Medical Center in Kankakee. She was born May 20, 1928, in Keo, Ark., the daughter of Noah Bess and Beadie (Blair) Bess. Mae was a retired machine operator for Nestle Company. She was a resident of the Pembroke Township area for 60 years. She was a volunteer at the Community Food Pantry. Mae was honored as the Junior League Volunteer of the Year in 2006. Her hobbies included horseback riding, shopping, going to garage sales and gardening. 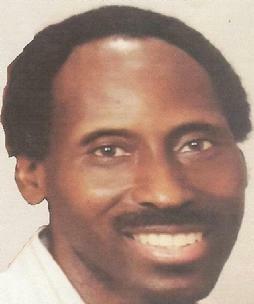 Mae was a member of Pembroke Fellowship Church in Pembroke Township. Surviving are a stepdaughter, Paige McFadden, of Country Club Hills; 12 great-nieces and nephews, Calvin Parker, Velma Hollister, Virginia Parker, Ora Parker and Carritta Devlin, all of Arkansas, Ida Johnson, of Nevada, Herbert Parker, of Texas, George (Teresa) Parker, of Virginia, Lovell (Connie) Parker, of California, Queen (Ephane) Dubose, of Florida, and Mary (Raleigh) Jones, of Maryland; 20 great-great-grand and 15 great-great-great-grand nieces and nephews, her chosen and extended family from all over the United States, especially Illinois, Michigan and Arkansas. Preceding her in death were her husband, Jones Weathersby; and siblings, Alvie Bess Canady, James Bess and Martha Parker Akins. Visitation will be from 9 a.m. Friday, Aug. 24, until the 11 a.m. funeral services at Pembroke Fellowship Church, 13279 E 5000S Road, Pembroke Township. The Rev. Rodney Lake will officiate. Burial will be in St. Patrick’s Cemetery, Momence. Walter Davis, 87, of Pembroke Township, passed away June 26, 2018, at Riverside Medical Center in Kankakee. He was born Nov. 17, 1930, in Batesville, Miss., the son of Floyd and Willie Mae Davis. Walter married Lily Johnson on Dec. 8, 2000, in Kankakee. Walter was a truck driver and a resident of the Pembroke Township area for 50 years. He was a deacon at St. Anne Woods Chapel and a member of Hopkins Park Singers. Walter enjoyed working on cars and singing. Surviving are his wife, of Pembroke Township; two sons, Devontae G. Davis, of Hopkins Park, and Charles (Nora) Davis, of Milwaukee, Wis.; six daughters, Lorraine (David) Tucker, Joyce Davis-Smith and Renee Davis, all of Milwaukee, Wis.; Brittany Terry, Tiesha Johnson and Shaquita (Lamar) Hick, all of Kankakee; three sisters, Maggie Davis, of Batesville, Miss., Virginia (Tom) Draper, of Memphis, Tenn., and Sarah (Herman) Bradley, of Florida; along with a host of grandchildren; great-grandchildren; and great-great grandchildren. Preceding him in death were his parents; three brothers; three sisters; and three children. Visitation will be from 9 a.m. Saturday, July 7, until the 11 a.m. funeral service at St. Anne Woods Chapel in Pembroke Township, with the Rev. Louis Barnes officiating. Cremation rites will be accorded. 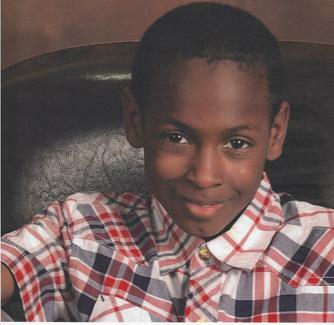 Michael Lee-Jones, 13, of Colorado Springs, Colo., passed away June 2, 2018, at UC Health Memorial Hospital, in Colorado Springs, Colo. He was born March 25, 2005, in Kankakee, the son of Steven Jones and Alice Lee. Michael was a seventh-grade student at Panorama Middle School in Colorado Springs, Colo. His hobbies included sports, particularly basketball and skating, and playing video games. Surviving are his mother, Alice Nathan, of Colorado Springs, Colo., his father, Steven Thompson Sr., of Pembroke Township; brothers, Steven Thompson Jones Jr., of Colorado Springs, Colo., and Dominic Jones, of Bradley; two sisters, Akira Nathan, of Colorado Springs, Colo., and Jordyn Jones, of Bradley; stepfather, Culmer Nathan, of Colorado Springs, Colo.; maternal grandmother, Alice Lee, of Kankakee; paternal grandmother, Sandra Sterling, of Yorkville; along with a host of aunts, uncles, cousins and friends. Preceding him in death were his maternal grandfather and paternal great-grandmother. Betty Mae Wright, 86, of Pembroke Township, passed away May 7, 2018, at Riverside Medical Center in Kankakee. She was born Feb. 8, 1932, in Chicago, the daughter of Walter T. Jones and Della (Dillard) Jones. Betty Mae was a homemaker and a resident of the Pembroke Township area for 70 years. She was employed at D and H Hardware in Pembroke Township. Betty Mae enjoyed sewing, gardening, carpentry and upholstery. Surviving are two daughters, Novalla Coleman, of University Park, and Wilhelmina Gibbs, of Pembroke Township; two sons, Richard Wyatt and Ricky Wyatt, both of Pembroke Township; two brothers, Jestard Jones, of Kankakee, and Albert Jones, of Momence; four sisters, Phyllis Tatum, of Kankakee, Juanita Jordan, of Kankakee, Alice Banks, of Kankakee, and Dorothy (Robert) Richmond, of Harvey; 12 grandchildren; and a host of great-grandchildren and great-great-grandchildren. Preceding her in death were her parents; one son; and one daughter. Visitation will be from 9 a.m. on Saturday, May 19, until the 11 a.m. funeral services at St. Anne Woods Chapel, 13162 E. 6000S Road, Pembroke Township, with the Rev. Terry Roundtree officiating. Burial will be in Momence Cemetery, Momence. Gennette Dowdy, 57, of Pembroke Township, passed away May 1, 2018, at her home. She was born Oct. 20, 1960, in Batesville, Miss., the daughter of Charles Pollard and Maudie Dowdy. 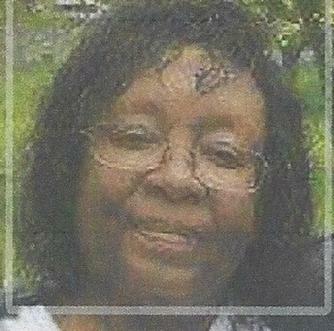 Gennette was a housekeeper for Riverside Medical Center in Kankakee. She was a resident of the Pembroke Township area for 35 years. She enjoyed playing bingo, playing cards and visiting casinos. Surviving are two sons, Patrick (Marketta) Rice, of Addison, and Terry Rice Jr., of Houston, Texas; her mother, Maudie Dowdy-Watford, of Pembroke Township; five sisters, Darlene Bolar, of Kankakee, Gloria Dowdy, of Kankakee, Phyllis Moses, of Pembroke Township, Rosa Dowdy, of Kansas City, Mo., and Mary Pollard, of Kankakee; two brothers, Willie (Jessie Johnson) Dowdy, of Pembroke Township, and David (Lashonda) Dowdy, of Kankakee; along with 10 grandchildren. Preceding her in death were her father; stepfather; brother; two aunts; and an uncle. Visitation will be from 9 a.m. on Saturday, May 12, until the 11 a.m. funeral services at Church of the Cross, 13043 East 2260 South Road, Pembroke Township, with the Rev. Clarence Dailey officiating. Burial will be in Momence Cemetery, Momence. Lela Roberson, 72, of Momence, passed away Friday (May 4, 2018) at Riverside Medical Center in Kankakee. She was born Oct. 7, 1945, in Ripley, Tenn.
Lela was a homemaker and a resident of the Momence area for 50 years. She was a member of Eastern Star. Lela's hobbies included fishing, canning, cooking, traveling, playing bingo, watching Western movies and spending time with family. 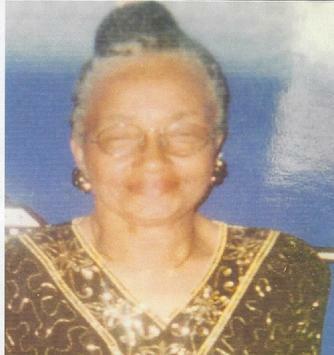 Lela was a member of First Baptist Church of Momence. Surviving are three daughters, Mildred (Howard McClain) Young-Williams, of Kankakee, Gloria (Michael) Walker, of Bradley, and Kimberly (Jasper Sr.) Jones, of Sun River Terrace; two sons, Keith Roberson, of Momence, and Derek (Darlene) Roberson, of Kankakee; three brothers, David Campbell, Lorenzo Campbell and Frank Campbell, all of Indianapolis, Ind. ; two sisters, Teresa Person, of Indianapolis, Ind., and Geraldine Mayberry, of Indianapolis, Ind. ; two uncles, Odell Day, of Indianapolis, Ind., and Pete Campbell, of Momence; 13 grandchildren; and eight great-grandchildren. Preceding her in death were her husband, J.T. Roberson Jr.; a daughter, Lenora Roberson; and her parents. Visitation will be from 9 a.m. Saturday, May 12, until the 11 a.m. funeral services at First Baptist Church of Momence, with the Rev. James Richardson officiating. Burial will be in Momence Cemetery, Momence. Lorrene Hughes, 82, of Pembroke Township, passed away April 7, 2018, at her home. She was born Sept. 11, 1935, in Sumner, Miss., the daughter of Joseph Price Davis and Elizabeth Toles Davis. Lorrene was married to Jimmy Lee Hughes. Lorrene was a retired upholstery worker of Kroehler Upholstery Company. She was a resident of the Pembroke Township area for 60 years. Lorrene was a member of St. Anne Woods Chapel in Pembroke Township and served on the church's mothers board, usher board and culinary department. Her hobbies included canning, baking, gardening, giving to charity, listening to R&B music and spending time with her family. Surviving are one daughter, Linda (Alexander) Sherman, of Kankakee; two sons, Jerry Hughes Sr., of Pembroke Township, and Glen Hughes, of Pembroke Township; five sisters, Betty Watkins, Shirley Davis, Rachel Wallace, Jerlean Davis and Delores Davis, all of Muskegon, Mich.; nine grandchildren; 14 great-grandchildren; and five great-great-grandchildren. Preceding her in death were her husband; one son; two sisters; and four brothers. Visitation will be from 9 a.m. on Saturday, April 21, until the 11 a.m. funeral services at St. Anne Woods Chapel, 13162 E. 6000S. Road, Pembroke Township, with the Rev. Jorell Glass officiating. Burial will be in Momence Cemetery, Momence. Lue Reynolds, 80, of Kankakee, passed away April 11, 2018, at Citadel Care Center in Kankakee. She was born June 3, 1937, in Hernando, Miss., the daughter of Wessinger and Annie Craigen. Mrs. Reynolds was a homemaker and an area resident for 57 years. She was a member of Christian Hope M.B. Church in Pembroke Township, where she also was a member of the choir. Her hobbies included fishing, making arts and crafts, sewing, reading and telling jokes. 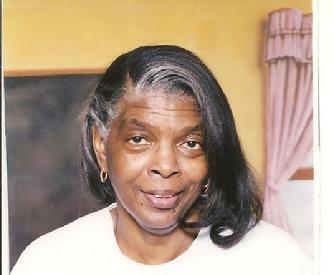 Surviving are one daughter, Glenda (Derrick) Williams, of Kankakee; two sons, Larry Newberry Sr., of South Bend, Ind., and James Reynolds Jr., of Wisconsin; a special son, Sylvester Washington, of Kankakee; one brother, Allan Newberry Sr., of Memphis, Tenn.; seven grandchildren; and 16 great-grandchildren. Preceding her in death were her parents; husband; two brothers; and one sister. Visitation will be from 9 a.m. on Friday, April 20, until the 11 a.m. funeral services at Greater New Hope Baptist Church, 1591 East Cedar St., Kankakee, with the Rev. Howard Wills Sr. officiating. Burial will be in Momence Cemetery in Momence. 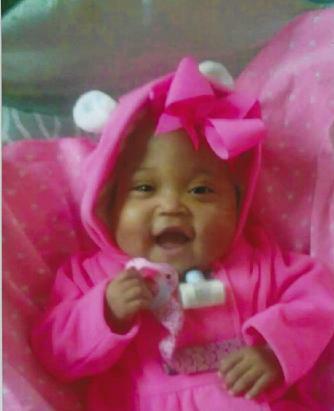 Ameiyah Jones, 18 months, of Kankakee, passed away April 7, 2018, at Presence St. Mary's Hospital in Kankakee. She was born Oct. 3, 2016, in Chicago, the daughter of Anthoney Jones and Kiara Young. Surviving are her parents; one sister, Adaiyah Jones, of Kankakee; two brothers, Keshaun Bellamy, of Kankakee, and Kameron Jones, of Kankakee; maternal grandparents, Marlon Young, of Chicago, Melvin Hampton, of Chicago, and Angela Haymon, of Kankakee; maternal great-grandmother, Celester Brown, of Chicago; paternal grandparents, Cassandra Cook-Lindsey, of Kankakee, Terrence Lindsey, of Kankakee, and Kenneth Jones Jr., of St. Louis, Mo. ; and paternal great-grandparents, Tommy Chapman, of St. Louis, Mo., Lovie Lindsey, of Kankakee, Frederica Jones-Davis, of St. Louis, Mo., Kenneth Jones Sr., of St. Louis, Mo., and Yvonne Callaway, of Marietta, Ga.
Visitation will be from 10 a.m. on Thursday, April 19, until the 11 a.m. funeral services at Greater New Hope Baptist Church, 1591 E. Cedar St., Kankakee, with the Rev. Rodney Lake officiating. Burial will be in Momence Cemetery in Momence. Claudia M. Lee, 81, of Kankakee, passed away April 1, 2018, at Presence St. Mary's Hospital in Kankakee. She was born Nov. 11, 1936, in Sicily Island, La., the daughter of Brazil and Lettie Page Virgin. Claudia was a nurse who retired from the Illinois Veterans Home at Manteno. She was a Kankakee area resident for 60 years. Claudia was a member of Zion Gate M.B. Church in Kankakee, where she was a Sunday school teacher, choir member, women's fellowship and scholarship committee member and vacation Bible school teacher. She enjoyed singing and playing cards. Surviving are one son, Eric T. Lee, of Kankakee; one daughter, Connie Lee-Welsh, of Kankakee; one niece, Shelia Harris, of Greenville, Miss. ; and three nephews, Kenneth Faulkner, of Kankakee, Cedric Thomas, of Chicago, and William Lamar (Jeralyn) Thomas, of Richton Park. Preceding her in death were her parents; one brother; and two sisters. Visitation will be from 8:30 a.m. on Saturday, April 14, until the 10 a.m. funeral services at Zion Gate M.B. Church, 752 E. Oak St., Kankakee. The Rev. Ronald Barrett will officiate. Burial will be in Mound Grove Cemetery in Kankakee. Mashawri Boyd, 43, of Kankakee, passed away March 9, 2018. He was born March 3, 1975, in Chicago, the son of Stanley Boyd and Lillie Williams. Mashawri married Jocelyn Jefferson on Feb. 27, 2011, in Kankakee. Mashawri was a laborer. He was a member of the New Vision M.B. Church, where he was a deacon, member of the praise team, choir member and culinary department. His hobbies were dancing, singing and playing pool. Surviving are his wife, of Kankakee; mother, Lillie Walker, of Park Forest; three sons, Mashawri Boyd Jr., of Kankakee, Carl Moore, of Chicago, and Jabrai Boyd, of Chicago Heights; five daughters, Jashawri Boyd, of Kankakee, Nashawri Boyd, of Sauk Village, Jh'ee Meschelle Boyd, of Chicago Heights, Tiana Boyd, of Blue Island, and Quiana Moore, of Ford Heights; one brother, Jimmie Teon (Shamika) Glover, of Minneapolis, Minn.; three sisters, Iyuna (Dederick) Harris, of Park Forest, Cal'neh (Steven) Grisham, of South Bend, Ind., and Vashonda Glover, of Rockford; four grandchildren; one stepdaughter, Tiyale Johnson, of Kankakee; and three stepsons, Terrance Johnson, of Kankakee, Tyree Johnson, of Kankakee, and William William, of Texas. Preceding him in death were his paternal grandparents and an uncle. 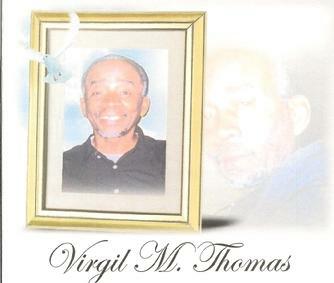 Visitation will be from 9 a.m. on Friday until the 11 a.m. funeral services at New Vision M.B. Church, 194 N. Entrance Ave., Kankakee, with the Rev. Tom Ivy officiating. Burial will be in Mound Grove Cemetery in Kankakee. Geneva Terrell, 86, of Watseka, passed away Feb. 25, 2018, at Iroquois Memorial Hospital in Watseka. She was born Jan. 6, 1932, in Demopolis, Ala., the daughter of Frank and Elvira Thomas Nois. Geneva was a foster grandparent and a 47-year resident of the area. 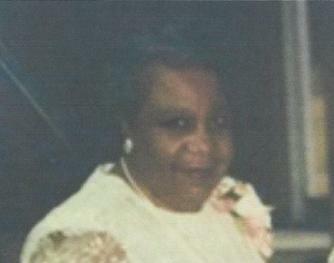 She was a member of Eastern Star and Greater St. Paul Baptist Church, Hopkins Park, where she was on the Mother's Board. Her hobbies included gardening, fishing and raising her children. Surviving are five sons, Raymond (Anna) Terrell, of Bolingbrook, Michael Terrell, of Beaverville, Darnell Terrell, of Kankakee, Darryl Terrell, of Beaverville, and Webster (Patricia) Terrell Jr., of Chicago; four daughters, Barbara (Alan) Downing, of Chicago, Celia Marshall, of Kankakee, Gloria (Victor Ray) Terrell-Tensley, of Watseka, and Margaret Terrell, of Chicago; 25 grandchildren; a host of great- and great-great-grandchildren; and one sister, Barbara Barnes, of Chicago. Preceding her in death were her husband and one sister. Visitation will be from 9 a.m. Saturday until the 11 a.m. funeral services at Greater St. Paul Baptist Church in Hopkins Park, with the Rev. Lleroy King officiating. Burial will be in Momence Cemetery in Momence. Helen Johnson, 80, of Pembroke Township, passed away Feb. 15, 2018, at Presence St. Mary's Hospital in Kankakee. 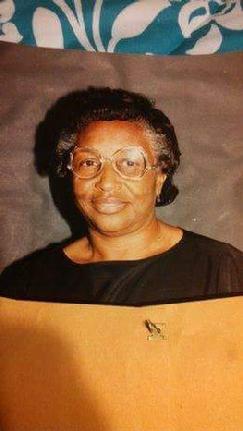 She was born Oct. 8, 1937, in Forrest City, Ark., the daughter of Johnnie and Willie Mae (Tucker) Gibson. Helen worked as a housekeeper at the Howard Johnson Motel until she retired. She was a member of Wilson Memorial Temple C.O.G.I.C. in Pembroke Township, where she was assistant church mother and on the communion committee. She enjoyed singing, gardening and taking care of her pets. Surviving are two sons, Julius (Jayne) Gibson, of Austin, Minn., and Lee (Iretha) Johnson, of Pembroke Township; seven daughters, Doris (Terry) Collins, of Fridley, Minn., Delphine (Pastor Kelvin) Thomas Sr., of Pembroke Township, Gwenette Ennis, of Denham Springs, La., Anita (Dwight) Rone, of Bloomington, Beverly (Erron) Hall, of Pembroke Township, Janis Atwater and Willia Robinson, of Indianapolis, Ind. ; one brother, Percy (Sandra) Atwater, of Marion, Ark. ; one sister, Jackie (Floyd) Mabon, of Memphis, Tenn.; three stepchildren, Willie Earl (Stephanie) Harper-Johnson, of Jackson, Miss., Almetta Johnson, of Sharon, Miss., and Diane Johnson, of Chicago Heights; 40 grandchildren; and 30 great-grandchildren. Preceding her in death were her husband, Lee Johnson Jr.; daughter, Jacqueline Johnson; brother, Willie Atwater; and sister, Josephine Rogers. Visitation will be from 10 a.m. Saturday until the 11 a.m. funeral services at Church of the Cross, 13043 East 2260 South Road, Pembroke Township, with the Rev. Kelvin Thomas Sr. officiating. Burial will be in Momence Cemetery, Momence. She was born Jan. 27, 1949, in Memphis, Tenn., the daughter of Roscoe Sr. and Clotee Marshall Butler. Agnes was a cleaning-service owner and resident of the Pembroke Township area for 60 years. Her hobbies included cooking, listening to music, dancing, playing cards, gardening, collecting antique figurines and artwork. 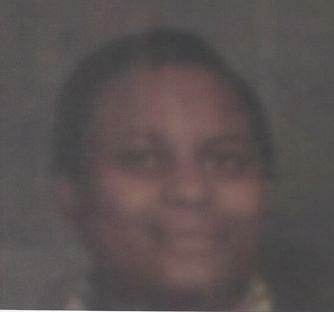 She was a member of Gethsemane Gardens Missionary Baptist Church in Kankakee. Surviving are one daughter, Rose M. Butler, of Spring Lake Park, Minn.; four sons, Jerry Butler, of University Park, Melvin Smith, of Kankakee, Lorenzo (Witonna) Butler, of West Lafayette, Ind., and Grant Smith, of Menard; her mother, Clotee Murray, of Pembroke Township; one sister, Cozett Beloach, of Chicago; four brothers, Curtis (Cleatie) Butler Sr., of Pembroke Township, Curly Butler, of Chicago, Roscoe Jr. (Carolyn) Butler, of Kankakee, and Larry (Bernice) Murray, of Kankakee; eight grandchildren; and 10 great-grandchildren. Preceding her in death were her father; one son; and one grandchild. Visitation will be from 10 a.m. Saturday until the 11 a.m. services at Gethsemane Gardens Missionary Baptist Church, 1500 E. Willow, Kankakee, with the Rev. Ervin Marshall officiating. Burial will be in Momence Cemetery, Momence. 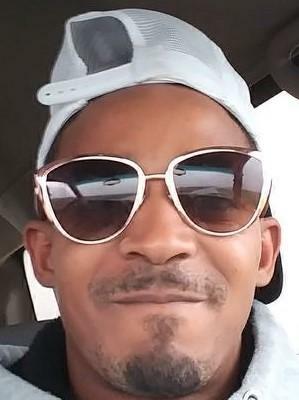 Tavares Bender, 34, of Pembroke Township, passed away Jan. 17, 2018, at Franciscan Health in Rensselaer, Ind. He was born May 8, 1983, in Kankakee, the son of Tyrone Blocker and Virginia Bender. Tavares was a laborer. He enjoyed riding horses, playing basketball and video games and music. He attended St. Anne Woods Chapel. Surviving are a daughter, Tavaria Bender, of Kankakee; two sons, Tavares Bender Jr., of St. Anne, and Fredrick Burton, of Madison, Wis.; his father, of Chicago; his mother, of Pembroke Township; his maternal grandfather, John Ray Bender, of Pembroke Township; three brothers, Tyrice Bender, of Pembroke Township, Tyrone Bender, of Kankakee, and Mario Davis, of Bloomington; three sisters, Edith (Rodney) Petty, of Kankakee, Lasandra Jensen, of Schaumburg, and Candice Hatchet, of Chicago; along with five other brothers; and three other sisters. Preceding him in death was his maternal grandmother. Visitation will be from 5 p.m. to 7 p.m. on Friday at Leggett Funeral Home in Hopkins Park. An additional time for visitation will be from 8:30 a.m. Saturday until the 10 a.m. funeral service at St. Anne Woods Chapel, 13162 E. 6000S. Road in Pembroke Township. The Rev. Louis Barnes will officiate. Burial will be in Mound Grove Cemetery in Kankakee. Curtis Jarrett Sr., 59, of Pembroke Township, passed away Jan. 16, 2018, at his home. He was born June 6, 1958, in Kankakee, the son of Paul Sr. and Alma Johnson Jarrett. Curtis married Novella Yvonne Barron on Dec. 19, 1979, in Hopkins Park. Curtis was a truck driver for DeYoung Farms. 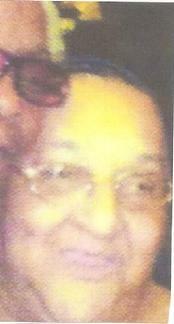 He enjoyed gardening, barbecuing, traveling and spending time with his grandchildren. He attended Sacred Heart Catholic Church in Hopkins Park. Surviving are his wife, of Pembroke Township; one daughter, Katrina Jarrett, of Champaign; two sons, Reginald Jarrett, of Momence, and Curtis Jarrett Jr., of Kankakee; his mother, of Pembroke Township; six brothers, Paul Jarrett Jr., of Otto, Lonnie (Josie) Jarrett, of Pembroke Township, Steven (Irene) Jarrett, of Pembroke Township, Martin (Regina) Jarrett, of Memphis, Tenn., Darryl (Inez) Jarrett, of Pembroke Township, and Ronald (Lynette) Jarrett, of Minneapolis, Minn.; six sisters, Christine Johnson, of Pembroke Township, Rena (Kevin) Jarrett-Dorsey, of Kankakee, Paula (Keith) Stampley, of Hopkins Park, Mary (Michael) Shorter, of Kankakee, Bonita Ellis, of Pembroke Township, and Bernice Jarrett, of Pembroke Township; and seven grandchildren. Preceding him in death were his father; one son; and one daughter. Rosary will be at 10 a.m. on Friday, followed by an 11 a.m. Mass at St. Patrick Catholic Church in Momence. The Rev. Lescher will officiate. Burial will be in Momence Cemetery, Momence. Steven Parker, 55, of Pembroke Township, passed away Saturday (Jan. 6, 2018) at Palos Community Hospital in Palos Heights. He was born April 15, 1962, in Chicago, the son of John Shumate and Dorothy Parker. Steven was a construction worker and his hobbies included music, barbecuing, fishing, camping and working on cars. He attended St. Anne Woods Community Chapel. Surviving are one daughter, Johnna Works, of Dallas, Texas; four brothers, Gregory Parker, of Bensenville, David Parker, of Chicago, DeWayne Parker, of Buffalo, N.Y., and Chris Bradford, of South Holland; seven sisters, Shirley (Kenny) White, of Chicago, Gail Parker, of Kankakee, June Parker, of Chicago, Jacqueline McGree, of Homewood, Alicia (Chris) Bradford, of South Holland, Angela Shumate, of Palos Park, and Jo Ann Shumate, of Lombard; and two aunts, Martha Mack, of Buffalo, N.Y., and Elma Keys, of Dolton. Preceding him in death were his parents and three brothers. Visitation will be from 9 a.m. Saturday until the 11 a.m. funeral service at St. Anne Woods Chapel, 13162 E 6000 South Road, Pembroke Township, with the Rev. Louis Barnes officiating. Cremation rites will be accorded after the services. Theresa Shaw, 95, of Pembroke Township, passed away Sunday (Nov. 12, 2017) at Riverside Medical Center in Kankakee. She was born May 24, 1922, in Delhi, La., a daughter of Mose and Mattie Stevenson King. Theresa was the owner of Theresa Interiors and an area resident for 44 years. She enjoyed dancing, farming, gardening, sewing, cooking and hosting parties. She was on the Mother's Board at Christian Hope M.B. Church. Surviving are two sons, Marc Shaw, of Pembroke Township, and Zachery Shaw, of Silver Springs, Md. ; one goddaughter, Shelia Washington, of Chicago; one sister, Dorothy Hamilton, of Monroe, La. ; two sisters-in-law, Joyce King and Ceal King, of Chicago; six grandchildren; and a host of great- and great-great grandchildren. Preceding her in death were her husband; brothers; and sisters. Visitation will be from 9 a.m. Saturday until the 11 a.m. funeral service at Christian Hope M.B. Church, 3939 S. Main, Hopkins Park, with the Rev. Clarence Dailey officiating. Burial will be in Momence Cemetery in Momence. 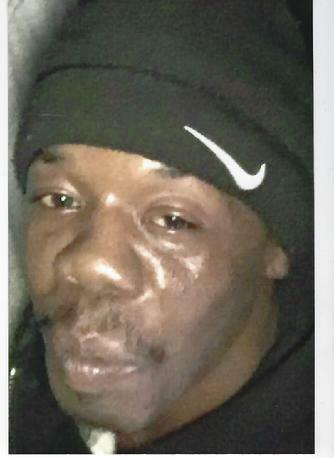 Jamar Lee Jarrett, 32, of Pembroke Township, passed away Oct. 29, 2017, in Ganeer Township. 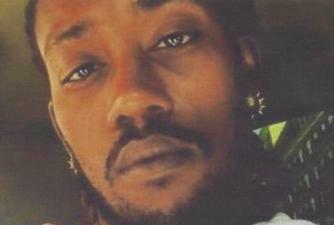 He was born Aug. 12, 1985, in Kankakee, the son of Curtis Sr. and Yvonne (Barron) Jarrett. He was a production operator at Van Drunen Farms in Momence. He attended Sacred Heart Catholic Church in Hopkins Park. Surviving are his daughter, Julianna Jarrett, of Momence; his parents, of Pembroke Township; two brothers, Reginald Jarrett, of Momence, and Curtis Jarrett Jr., of Kankakee; one sister, Katrine Jarrett, of Urbana; paternal grandmother, Alma Jarrett, of Pembroke Township; and a host of aunts, uncles, nieces, nephews and cousins. Preceding him in death were his maternal grandparents; paternal grandfather; two aunts and one cousin. Visitation will be from 9 a.m. Thursday until the 11 a.m. funeral services at St. Anne Woods Chapel, 13162 E. 6000S Road, Pembroke Township, with the Rev. Jorell Glass officiating. Cremation rites will be accorded. 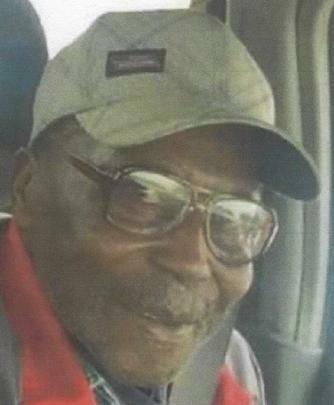 Curlee Jenkins Sr., 87, of Pembroke Township, passed away Saturday (Oct. 14, 2017) at his home. He was born Jan. 29, 1930, in Bridgeport, Conn., the son of Edward and Arlene (Black) Jenkins. Curlee married Charlie Mae Carter on Sept. 13, 1975, in Chicago. He was a warehouse worker. He had been a resident of Pembroke Township for 20 years. 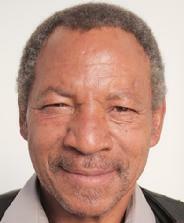 His hobbies were listening to jazz music, dancing, watching movies, spending time with grandchildren and weightlifting. He attended Christian Hope M.B. Church in Pembroke Township. Surviving are his wife, of Pembroke Township; four sons, Curlee Jenkins Jr., of Chicago, James Willard, of Chicago, Michael Willard, of Chicago, and Johnnie Willard, of Chicago; three daughters, Patricia (Lorenzo) Beck, of Calumet City, Gloria Willard, of Pembroke Township, and Shirley Elizabeth Jenkins, of Aurora; eight grandchildren and seven great-grandchildren. Preceding him in death were his parents; one brother; three sisters; and one daughter. Visitation will be from 10 a.m. Saturday until the 11 a.m. funeral services at Christian Hope M.B. Church in Pembroke Township, with the Rev. Clarence Dailey officiating. Burial will be in Momence Cemetery in Momence. Rosemary Gilmore, 80, of Pembroke Township, passed away Friday (Oct. 6, 2017) at Riverside Medical Center in Kankakee. She was born Oct. 16, 1936, in Chicago, the daughter of Tony O. and Rosie L. (Lewis) Easter. Rosemary married Lamar Gilmore in 1957. Rosemary was a retired supervisor from the Illinois Department of Human Services. 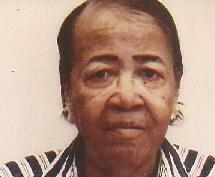 She was a member of the Pembroke Senior Citizens and was a community advocate. She was a Pembroke Township area resident for 51 years. Surviving are one son, Tony Harvey Gilmore, of Chicago; one daughter, Ina Gilmore-Tensley (Kevin), of Pembroke Township; nephew, Danny (Gail) Graham, of Country Club Hills; niece, Pamela (James) Carter, of Country Club Hills; sister-in-law, Ina Graham, of Country Club Hills; goddaughter, Francene Perry, of Kankakee; four grandchildren; and 13 great-grandchildren. Preceding her in death were her husband; parents; one brother; one sister; and one daughter. Visitation will be from 9 a.m. Saturday until the 11 a.m. funeral services at St. Anne Woods Chapel, 13162 E 6000S Road, Pembroke Township. The Rev. Louis Barnes will officiate. Burial will be in Momence Cemetery in Momence. Anthony Burns, 65, of Kankakee, passed away Sunday (Sept. 24, 2017) at Riverside Medical Center in Kankakee. He was born Aug. 6, 1952, in Chicago, the son of Walter Taylor and Ethel Lee Outlaw (Burns). Anthony was a laborer, whose hobbies included singing and dancing. Surviving are two daughters, Emma Arless Burns, of Minneapolis, Minn., and Antoinette Burns, of Kankakee; one son, Anthony (Ramona) Burns Jr., of Bourbonnais; his mother, Ethel Lee Outlaw, of New Orleans, La. ; one sister, Venus Burns, of New Orleans, La. ; two brothers, Alex Outlaw, of Kankakee, and Mark Outlaw, of Chicago; 12 grandchildren; and 10 great-grandchildren. Preceding him in death were his father; a brother; a daughter; and a great-grandson. Visitation will be from 10 a.m. Tuesday, Oct. 3, until the 11 a.m. funeral services at Christian Hope M.B. Church, 3939 S. Main, Hopkins Park, with the Rev. Clarence Dailey officiating. Cremation rites will be accorded. Ammar Jean Cherry, 96, of Pembroke Township, passed away Sunday (Aug. 13, 2017) at Riverside Medical Center in Kankakee. She was born Feb. 1, 1921, in Clinton, Ala., the daughter of Slyvester Taylor and Ida Bell. 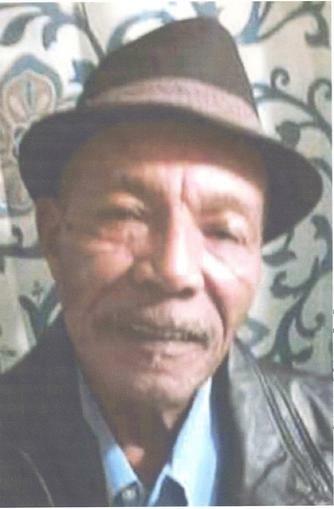 Ammar was a retired nurse's aide who worked at Cook County Hospital in Chicago. She was an area resident for 50 years. She was on the mother's board at Christian Hope Baptist Church in Hopkins Park, and her hobbies included fishing, cooking and gardening. Surviving are her niece, Lorraine Taylor, of Sun River Terrace; and a host of additional nieces, nephews and cousins. Preceding her in death were her parents; husband; two brothers; and companion, William Payton. Visitation will be from 10 a.m. Saturday until the 11 a.m. funeral services at Christian Hope Baptist Church in Hopkins Park, with the Rev. Clarence Dailey officiating. Burial will be in Momence Cemetery in Momence. Kevin C. Jarrett, 31, of Kankakee, passed away June 29, 2017. He was born Nov. 22, 1985, in Kankakee, the son of Kevin C. Dorsey and Jean R. Jarrett, of Kankakee. They survive. Also surviving are three sisters, Shanika (James) Stevenson, of Sun River Terrace, Lashonda Jarrett (fiancée, Benjamin Smith), of Kankakee, and Cassandra Jarrett, of Bourbonnais; three children, Malik J. Jarrett, of Kankakee, Noah King Jarrett, of Kankakee, and Kenisa A. Jarrett, of Kankakee; and grandmother, Alma Jarrett. Preceding him in death were his sister, Latoya Dorsey; daughter, M'Kaylah M. Jarrett; paternal grandparents and maternal grandfather. Cremation rites have been accorded. A memorial service will be at 11 a.m. Saturday at the St. Anne Woods Community Chapel, 13162 E 6000S Road, Pembroke Township. The Rev. Jorell Glass will officiate. Jonathan S. Willis, 33, of Pembroke Township, passed away May 28, 2017, at Presence St. Mary's Hospital in Kankakee. He was born Nov. 1, 1983, in Kankakee, the son of Johnathan Hunt and Vanessa Willis. Jonathan was a laborer. 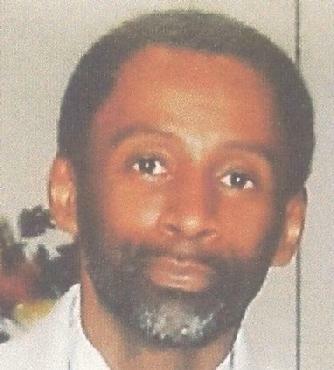 He was a resident of the Kankakee County area for 33 years and attended Wilson Memorial Church of God In Christ. His hobbies included riding horses and ATVs. Surviving are a son, Jayceon Robinson, of South Bend, Ind. ; daughter, Emani Speed, of Kankakee; mother, Vanessa Hunt, of Pembroke Township; father, Johnathan Hunt, of Las Vegas, Nev.; three brothers, Jason Felton, of Pembroke Township, Jacob Felton, of Pembroke Township; and Jeremy Felton (Shantese Rivers), of Pembroke Township; three sisters, Josethine Teague, of Kankakee, Anna Jones, of Kankakee, and Ebony Eggleston, of Orlando, Fla. Preceding him in death were his paternal and maternal grandparents. Visitation will be from 9 a.m. Saturday until the 11 a.m. funeral services at St. Anne Woods Chapel, 13162 East 6000S Road, Pembroke Township, with the Rev. Jorell Glass officiating. Burial will be in Momence Cemetery, Momence. 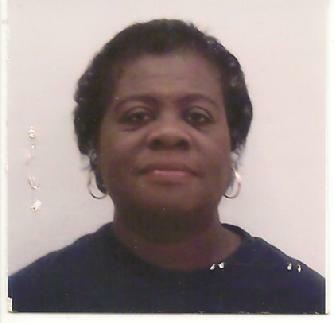 Queenola Nelson, 67, of Pembroke Township, passed away May 29, 2017, at Northwestern Memorial Hospital in Chicago. She was born June 9, 1949, in Chicago, the daughter of Ausby and Mary (Vanarsdale) Nelson. 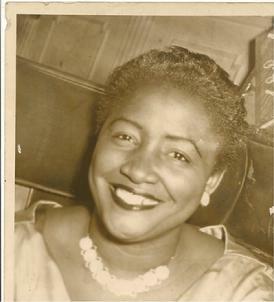 Queenola was a clerk in the Cook County Clerk's Office in Chicago. 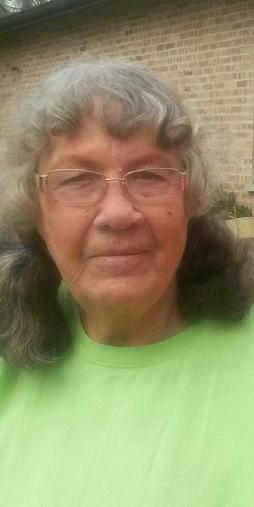 She was a resident of the Kankakee County area for three years. She was a Vietnam veteran, serving our country in the U.S. Army as an SP 4. Her hobbies included gardening and cooking. Surviving are two brothers, Maxwell Green, of Pembroke Township, and Tommy Green, of Pembroke Township; and a niece, Marilyn Green, of Waterloo, Iowa. Preceding her in death were her husband and parents. 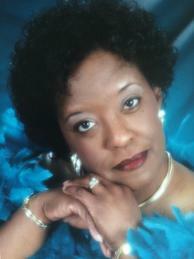 Funeral services will be from 9 a.m. Friday until the 10 a.m. funeral services at Leggett Funeral Home in Hopkins Park. Bishop Henry Shepard will officiate. Burial will be in Abraham Lincoln National Cemetery in Elwood. Hervie Lee White, 78, of Pembroke Township, passed away Thursday (April 13, 2017). He was born Dec. 31, 1938, in Scooba, Miss., the son of Flozell and Johnie White. He married Theresa Hodge on March 19, 2004, in Kankakee. Hervie retired from Pepsi after 37 years, employed as a maintenance mechanic and driver. He was a resident of Pembroke Township since the early 1970s. He enjoyed, hunting, fishing, small engine repair and family activities. Surviving are his wife, of Pembroke Township; three sons, Herbert Earnest Jr., Robert Earnest (Sharrie) and Timothy White; three daughters, Caroline Earnest, Stephanie White and Star White; three sisters, Bernice White, Ybonia White and Yzonia Coleman (Jessie); five brothers, James Harris Jr. (Cynthia), Johnnie Jean White, Jimmy Lee White (Berdia), Edward White (Alecia) and Fred White (Otavia); a host of nieces, nephews and close friends. He is proceeded in death by his parents; first wife, Kathryn White; one daughter, Sherry Moore; and one brother, Willie C. White. A memorial service will be held between 5 p.m. and 6 p.m. Saturday at the Church of the Cross, located at 13043 E. 2260 S. Road, Pembroke Township, (Intersection of Main/13000 S Road and 2260 S. Road). Cremation rites will be accorded. Clarence Riley Sr., 68, of Pembroke Township, passed away April 4, 2017 at home. He was born Feb. 12, 1949, in Hopkins Park, the son of James and Eleanor Mae (Copeland) Riley. He married Mary Armstrong on Feb. 10, 1989, in Kankakee. 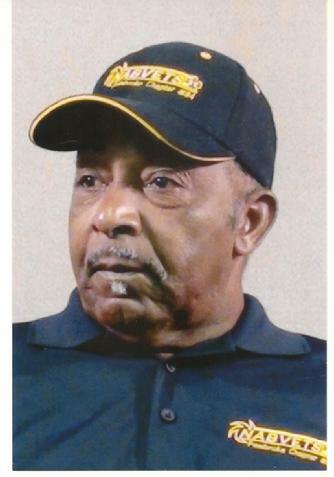 Clarence was a retired trackman for the Norfolk and Southern Railroad; and a lifelong area resident of the Pembroke Township area. He served in the U.S. Army as a Spec. 4 in Vietnam and was awarded a Purple Heart. He was a member of the National Association for Black Veterans, Pembroke Chapter 0084. He enjoyed restoring cars and collecting miniature cars. Surviving are his wife, of Pembroke Township; three sons, Anthony (Monica) Taylor, of Brianroad, Md., Clarence (Tasha) Riley Jr., of Marietta, Ga., and Terrence Beverly, of Minnesota; five daughters, Carla (Lynell) Watts, of College Park, Ga., Mentoya Williamson, of Alexandria, Minn., Pamble Nichols, of St. Louis, Mo., Pearlie (Terrance) Nichols, of Phoenix, Ariz., and Dea (Anthony) Richardson, of St. Ann., Mo. ; three brothers, Sam Viccios Jr., of Chicago, Eugene "Butch" Riley, of Pembroke Township, and Robert (Margaret) Riley, of Marshall, Texas; three sisters, Louise Riley-Palmer, of Chicago, Elaine (Joseph) Jackson, of Kankakee, and Deidre (Cedric) Terrell, of Queen Creek, Ariz.; 23 grandchildren; and 15 great-grandchildren. Also surviving are three aunts, Yvonne Copeland, of Chicago, Rosetta Kennedy, of Kankakee, and Dorothy Riley, of Sun River Terrace; and special friends, Harold Smith and James Gordon. Preceding him in death were his parents; one brother; and two sisters. Visitation will be 4 p.m. to 6 p.m. Friday at Leggett Funeral Home in Hopkins Park. Additional visitation will be from 9 a.m. Saturday until the 11 a.m. funeral services at St. Anne Woods Chapel, 13162 E 6000 South Road, Pembroke Township, with the Rev. Louis Barnes officiating. Cremation rites will be accorded. Herbert M. "Granddad" Giddings, 66, of Minneapolis, Minn., passed away Feb. 18, 2017, at North Memorial Medical Center in Robbinsdale, Minn. He was born March 18, 1950, in Hopkins Park, the son of John and Zelma (Castleman) Giddings. Herbert married Deborah Wallace on July 15, 2003, in Minneapolis, Minn.
Mr. Giddings was a 1968 graduate of St. Anne High School and a former Kankakee County area resident for 50 years. He was a supervisor at Precision Associates in Minneapolis, Minn. He enjoyed music. Surviving are his wife, of Minneapolis; two stepdaughters, Tyerah Wallace, of Minneapolis, Minn., and Nubiah Wallace-Taylor, of Minneapolis, Minn.; two brothers, Earl Giddings, of Kankakee, and George (Janice) Giddings, of Kankakee; three sisters, Mary Lou Gilbert, of Kankakee, Rosetta Cunningham, of Norcross, Ga., and Lorraine (Edward) Bowman, of Flossmoor; three sisters-in-law, Lelia (Lawrence) Souza, of Chicago, Bernie Giddings and Ruby Giddings, of University Park; and two grandchildren. Preceding him in death were his parents; two brothers; and two sisters. Visitation will be from 5 p.m. to 7 p.m. Friday at Leggett Funeral Home in Hopkins Park. An additional time of visitation will be from 10 a.m. Saturday until the 11 a.m. funeral services at St. Anne Woods Chapel, 13162 E 6000S Road, in Pembroke Township, with the Rev. Louis Barnes officiating. Burial will be in Momence Cemetery in Momence. Dorothy Mae Flournoy, 88, of Pembroke Township, passed away Friday (Feb. 17, 2017) at Riverside Medical Center in Kankakee. She was born June 10, 1928, in Trinity, Ala., the daughter of Pervis and Rebecca (Scott) Stover. Dorothy was a resident of the Pembroke Township area for 49 years, and was a foster grandparent. Her hobbies included cooking, gardening and doing crossword puzzles. Surviving are two daughters, Algena Flournoy, of Pembroke Township, and Rebecca "Carol" Flournoy, of Miami, Fla.; six sons, Clarence "Kilroy" Nelson, of Seattle, Wash., Terry (Emma) Flournoy, of Gary, Ind., Michael Flournoy, of Detroit, Mich., Jeffery (Annette) Flournoy, of University Park, Darrell (Ericka) Flournoy, of Fredericksburg, Va., and Gregory (Audriea) Flournoy, of Kankakee; one brother, Pervis Cohen, of Oakland, Calif.; special friends, Ruby Williams and Gladys Washington; 15 grandchildren; and 14 great-grandchildren; including two special grandsons, William "PeeWee" Campbell, of Pembroke Township, and Kenneth "Bucket" Flournoy, of Ozark, Ala. 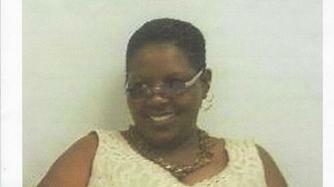 Preceding her in death were her parents; husband; and two sons, Dennis White and Kenneth Flournoy. Visitation will be from 9 a.m. Saturday until the 11 a.m. funeral services at Church of the Cross, 13043 E 2260 S Road, Pembroke Township, with the Rev. Jorell Glass officiating. Burial will be in Momence Cemetery in Momence. She was born Dec. 28, 1953, in Glendora, Miss., the daughter of Willie Albert and Alice Roberta (Black) Gould. 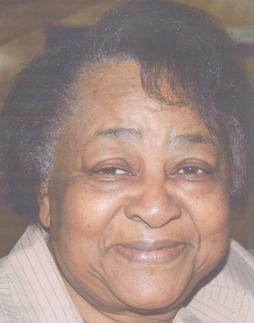 Dora was a retired receptionist from Presence St. Mary's Hospital in Kankakee. She was a member of St. Anne Woods Chapel, where she was in the culinary department and youth coordinator. She also worked with Relay for Life Association. Her hobbies included fishing, gardening and traveling. She was a resident of the area for 42 years. Surviving are one daughter, Allison Gould, of St. Louis, Mo., two sons, Robert (Aubrey) Gould, of Bremerton, Wash., and Kevin Gould, of Port Orchard, Wash.; her mother, Alice Gould, of Bourbonnais; special niece, Leslie Armstrong, of Pembroke Township; three brothers, Robert (Flo) Shaffer, of Mississippi, Willie Gould, of Bourbonnais, and Dennis Gould, of Pembroke Township; three sisters, Mary Gould, of Elkhart, Ind., Tina Gould, of Chicago, and Annie Gould, of Carthage, Miss.i; nine grandchildren and two great grandchildren. Preceding her in death were her father, one brother and one sister. Visitation will be from 9 a.m. Friday until the 11 a.m. funeral service at St. Anne Woods Chapel, 13162 E 6000 S Road, Pembroke Township, with the Rev. Louis Barnes officiating. Cremation rites will be accorded. She was born June 16, 1954, in Hopkins Park, the daughter of John Giddings and Zelma Castleman. Laura was employed as a cook at Pembroke School District. She was a resident of the Pembroke Township area for 62 years. Her hobbies included playing bingo, playing card games, dancing and cooking. She was a member of St. Anne Woods Chapel. Survivors include one daughter, Akilah Giddings, of Pembroke Township; three brothers, Earl Giddings, of Kankakee, Herbert (Deborah) Giddings, of Minneapolis, Minn., George (Janice) Giddings, of Kankakee; three sisters, Mary Lou Gilbert, of Kankakee, Rosetta Cunningham, of Norcross, Ga., Lorraine (Edward) Bowman, of Flossmoor; and five grandchildren. Preceding her in death were her parents; two brothers; one sister; and one son. Visitation will be from 5 p.m. to 7 p.m. Friday at the Leggett Funeral Home in Hopkins Park. An additional time for visitation will be from 10 a.m. Saturday until the 11 a.m. funeral services at St. Anne Woods Chapel, 13162 East 6000 South Road, Pembroke Township. Burial will be in Momence Cemetery, Momence. 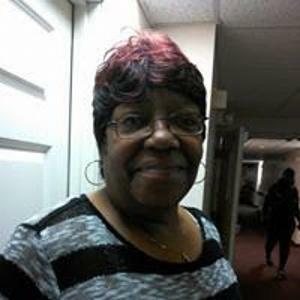 Juanita Barnes, 81, of Pembroke Township, passed away Tuesday (Dec. 27, 2016) at Riverside Medical Center in Kankakee. She was born July 27, 1935, in Oklahoma, Miss., the daughter of Elnora and Mary Lou Jobe Caldwell. Juanita married the Rev. Louis Barnes on Aug. 20, 1954, in Kosciusko, Miss. Juanita was a retired social worker from Illinois Veterans Home in Manteno. She was a resident of the area for 50 years. 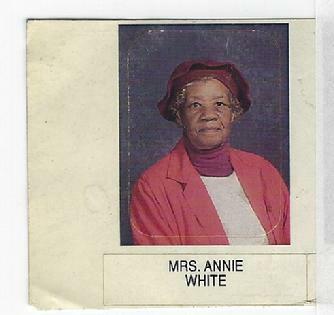 She was first lady at St. Anne Woods Chapel and a member of Pembroke Senior Citizens, the Pembroke PTA, Kankakee Minister Wives Alliance, C.R.A.F.T. and NAACP. She was an election judge, Sunday school teacher, coordinator for Christian Education and College Scholarship Coordinator at St. Anne Woods Chapel. She attended Kankakee Community College and was involved in numerous other community activities. 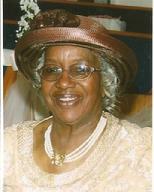 She was a member of St. Anne Woods Chapel and Triple IC Community Church. Surviving are her husband, of Pembroke Township; one son, Cleophus Barnes, of Kankakee; three daughters, Ruebena Parnell, of Kankakee, Vanessa (Tommie) Goss, of Elk Grove, Calif., and Yolanda Barnes, of Shreveport, La. ; two sisters, Annye Caldwell, of Carthage, Miss., and Mary Lee (Lincoln) Harris, of Toledo, Ohio; 11 grandchildren; and 25 great-grandchildren. Preceding her in death were her parents; six brothers; and two sisters. Visitation will be from 3 p.m. to 8 p.m. Sunday, Jan. 1, 2017, at St. Anne Woods Chapel, 13162 E 6000S Road, Pembroke Township. An additional time for visitation will be from 9 a.m. Monday, Jan. 2, 2017, until the 11 a.m. funeral services at Lorenzo Smith School, 4120 S. Wheeler Road, Pembroke Township, with the Rev. Jorell Glass officiating. Burial will at 11:30 a.m. on Tuesday, Jan. 3, 2017, in Abraham Lincoln National Cemetery in Elwood. 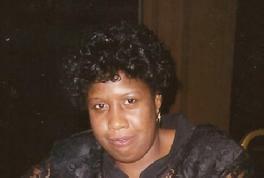 Marla V. Brady, 52, of Chicago, and a former Hopkins Park area resident for 20 years, passed away Sunday (Dec. 4, 2016) at Franciscan St. James Hospital in Olympia Fields. She was born Oct. 2, 1964, in Chicago, the daughter of the Rev. Hezekiah Jr. and Myrna Stroud Brady. Marla was a human resource counselor at AMD Business Solutions in Flossmoor. She attended Lorenzo Smith Grade School in Hopkins Park and was a graduate of C.I.D.A.L. School in Hopkins Park. Marla received her bachelor's degree from Northwestern University and her master's degree from Loyola University. She attended Pembroke Fellowship Church in Pembroke Township. Surviving are her mother, of Richton Park; four sisters, Dr. Darcel Brady, of Richton Park, Phyllis Brady, of Chicago, Alpha Brady, of Chicago, and Helena Brady-Rogers (Johnny), of Park Forest; one niece, Aundrea Rogers, of Chicago; and one nephew, Jared Rogers, of Park Forest. Preceding her in death were her father; a sister, Jan Brady; and a nephew, Antwanne Brady. Visitation will be from 9 a.m. Friday until the 10 a.m. funeral services at Pembroke Fellowship Church, 13279 E. 5000S. Road, Pembroke Township. Burial will follow in Momence Cemetery, Momence. Jerlean Bridges, 61, of Pembroke Township, passed away Friday (Dec. 1, 2017) at Citadel Care Center in Kankakee. She was born March 21, 1956, in Little Rock, Ark., the daughter of John Lewis and Thelma (Hicks) Bridges. Jerlean was a supervisor at Pembroke Oak Farms and an area resident for 45 years. She enjoyed gardening and fishing. 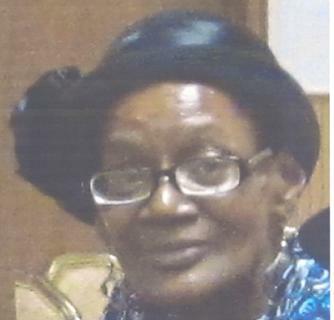 She attended Forest Valley Community Church in Pembroke Township. Surviving are three sons, Robert Smith, of Pembroke Township, Andre Bridges, of Pembroke Township, and Kuslaiah (Marsha) Bridges, of Danville; five brothers, Lee Roy Tubbs, of West Memphis, Ark., Robert Cooperwood, of Parkin, Ark., Johnny Hicks Jr., of Parkin, Ark., William Bridges, of Milwaukee, Wis., and Larry Bridges, of Cape Girardeau, Mo. ; seven sisters, Arlee Barton, of Aliquippa, Pa., Lessie B. Emeh, of Jacksonville, Ark., Barbara Bridges, of Bourbonnais, Johnnie Mae Hicks, of Marktree, Ark., Rosie Lee Hicks, of West Memphis, Ark., Jonnie (Eddie) Bridges-Green, of Kankakee, and Waverly Hicks, of West Memphis, Ark. ; along with a host of grandchildren, great-grandchildren and great-great-grandchildren. Preceding her in death were her father; mother; two brothers; and one sister. Visitation will be from 8:30 a.m. Saturday until the 10 a.m. funeral services at Church of the Cross, 13043 E 2260S Road, Pembroke Township, with the Rev. Percy Bobo officiating. Burial will be in Mound Grove Cemetery in Kankakee. Mary Sneed, 63, of St. Anne, passed away Sunday (Nov. 20, 2016) in Country Club Hills. She was born March 10, 1953, in Columbus, Miss., the daughter of Ira and Nellie Barlow Sneed Sr.
Mary was a site supervisor at Thresholds. She had been a resident of the area since 1961. She enjoyed cooking and spending time with her grandchildren. Mary attended Christ Deliverance Church in Pembroke Township. Surviving are one son, Jeremiah Sneed Sr., of Hopkins Park; one daughter, Lakisha Ashley-Morgan (Jamison), of Atlanta, Ga.; goddaughter, Ashley Hall, of Atlanta, Ga.; eight grandchildren; four sisters, Freddie Lou Robinson, of Hopkins Park, Nancy Rucker, of Kankakee, Nellie Griffin, of Kankakee, and Martha Alexander, of Sun River Terrace; and a sister-in-law, Christine Chapman Sneed, of Sun River Terrace. Preceding her in death were one brother; two sisters; and three brothers-in-law. Visitation will be from 9 a.m. Saturday until the 11 a.m. funeral services at Church of the Cross, 13043 E 2260S Road, Pembroke Township. The Rev. Sam Rover will officiate. Burial will be in Momence Cemetery, north of Momence. Clay Brian Butler Sr., 52, of Indianapolis, Ind., and a former Kankakee County area resident for 15 years, passed away Thursday (Oct. 6, 2016) at St. Vincent Hospice Center in Indianapolis, Ind. He was born Feb. 23, 1964, in Chicago, the son of Clint Butler and Marlene Lemon. Clay married Angela Helm. She survives. Clay was a machine operator. He enjoyed working on cars, playing basketball, running track and was an eighth-grade basketball coach. In addition to his wife, of Indianapolis, Ind. ; surviving are five daughters, Shatara Butler, of Indianapolis, Ind., Princess Gamby, of Indianapolis, Ind., Shaniece Wilson, of Atlanta, Ga., Ashanti Butler, of Champaign, and Jasmine Thomas, of Kankakee; six sons, Clay "Kacay" Butler Jr., of Indianapolis, Ind., Jemiko Bates Sr., of Kankakee, Kendall Wolfe, of Arizona, Corey Simington, of Florida, Corvon Butler, of Alabama, and Calvin Phillips, of Kankakee; three sisters, Lisa (Everette) Lewis Sr.,, of Kankakee, Connie (Perry) Mason, of Aroma Park, and Sharone Hall, of Nashville, Tenn.; three brothers, Lane (Wanda) Butler, of Pembroke Township, Nolan Butler, of Kankakee, and Mark Butler, of Danville; and 15 grandchildren. Visitation will be 4 p.m. to 6 p.m. Thursday at Leggett Funeral Home in Hopkins Park. Additional visitation will be from 9 a.m. Friday until the 11 a.m. funeral services at Trinity Lutheran Church, 1501 E. Merchant St., Kankakee, with the Rev. Robert Laster officiating. Burial will be in Mound Grove Cemetery, Kankakee. Please sign his online guestbook at leggettfuneral.net. 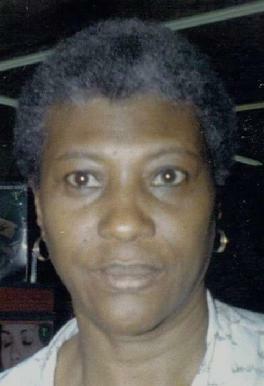 Lavaida Moore, 77, of Kankakee, passed away Sept. 20, 2016, at her home. She was born Feb. 13, 1939, in Chicago, the daughter of Herman and Oleva Windom Huff. Mrs. Moore retired from Oak Forest Hospital in Oak Forest. She was an area resident for 18 years, and was a member of the Nurse's Aid and Mother's Board at the Outreach Church of God in Christ in Harvey, where she attended. She also enjoyed cooking. Surviving are two daughters, Ernette (Vinson) Thompson, of Bourbonnais, and VaNiecesa Franklin, of Rock Island; four sons, Walter (Brenda) Moore Jr., of Markham, David Moore, of Kankakee, Darryl Moore, of Lincoln, Neb., and Emanuel Moore, of Moline; one brother, Richard (Elizabeth) Clark, of Robbins; three sisters, Arlise (William) Milton, of Savannah, Ga., Anniece (Louis) Rideout, of Savannah, Ga., and Arnita Clark, of Midlothian; 14 grandchildren; 23 great-grandchildren; and two great-great grandchildren. Preceding her in death were her parents; three sisters; three brothers; and one great-grandson. Visitation will be from 5 p.m. to 7 p.m. Friday at Leggett Funeral Home in Hopkins Park. An additional time for visitation will be from 9 a.m. Saturday, Oct. 1, 2016, until the 10 a.m. funeral services at Outreach Church of God in Christ, 200 W. 147th St., Harvey. Elder James Sims will officiate. Burial will be in Homewood Cemetery in Homewood. Laura Ann Harrison, 76, of Kankakee, passed away July 27, 2016, at Presence Our Lady of Victory Nursing Home in Bourbonnais. She was born July 27, 1940, in Independence, La., the daughter of George Washington Sr. and Alberdia Lewis. Laura was a homemaker and a resident of the Kankakee County area for 61 years. She was a former board member of Pembroke School District 259, director of The Time is Now Food Pantry, director of the Rev. George Washington Sr. Community Food Pantry, Pembroke Senior Citizens Group and Kankakee County Sheriff Auxiliary Police. Her hobbies included singing, being a church musician, cooking, dancing and spending time with family and friends. Survivors include five sons, Ronald Harrison, of Cincinnati, Ohio, Vincent (Jeanette) Harrison, of Kankakee, Harold Ray Harrison, of Kankakee, Curt Andre Harrison and Kim Bridges, of Pembroke Township, and Kendall Harrison, of Kankakee; two brothers, George (Shirley) Washington Jr., of Kankakee, and Steven Micheal Washington, of Pembroke Township; 19 grandchildren; and 28 great-grandchildren. Preceding her in death were her husband; parents; three brothers; three sisters; and two sons, Bryan Harrison and Kevin Harrison. Visitation will be from 9 a.m. Wednesday until the 11 a.m. funeral services at Greater St. Paul Baptist Church in Hopkins Park, with the Rev. Howard Wills officiating. Cremation rites will be accorded. Rosie Teague, 75, of Pembroke Township, passed away Thursday (July 28, 2016) at Riverside Medical Center in Kankakee. She was born Aug. 2, 1940, in Kerrville, Tenn., the daughter of Nathaniel Beloch and Josephine Jackson. 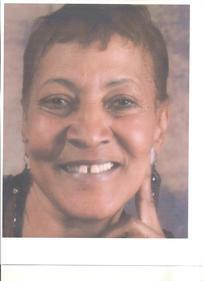 Rosie was a retired support service worker II from Shapiro Developmental Center in Kankakee. She was a resident of the Pembroke Township area for 50 years. Rosie was a member of Christian Hope M.B. Church in Hopkins Park, where she was part of the Mothers' Board, finance team, pastor's aid committee and a trustee. She also was a member of the Pembroke Senior Citizens and an election judge. Surviving are one son, Juan (Stephanie) Teague, of Auburn, Wash.; two daughters, Ruthel Teague, of Pembroke Township, and Rosalyn (David) Teague-Brown, of Chicago; brother, Nathan Barlow, of Albuquerque, N.M.; six grandchildren; and eight great-grandchildren. Preceding her in death were her parents; two brothers; and one sister. Carlos J. Douglas Sr., 62, of Park Forest, passed away Friday (July 22, 2016) at St. James Hospital in Chicago Heights. He was born March 28, 1954, in Chicago, the son of Thomas Douglas and Gloria M Thompson Douglas. Carlos married Shirley McClain on May 4, 1986, in Bradley. Carlos was a transporter for Homehealtcare company. He was an area resident for 30 years. His hobbies included working on cars, and watching the Chicago Cubs and the Chicago Bears. He attended New Jerusalem Seventh Day Adventist Church in Bradley. Surviving are his wife, of Park Forest: son, Carlos J. Douglas Jr., of Park Forest; daughter, Tiffany (Dion) Dansby, of Kankakee; stepdaughter, Felicia McClain, of St. Anne; two brothers, Tommy (Shelia) Douglas, of Union City, Ga., and Kevin (Tammi) Douglas, of Kankakee; two sisters, Tanya Douglas, of Kankakee, and Camille Douglas, of Kankakee; and three grandchildren. Preceding him in death were his parents, and two brothers. Visitation will be from 9 a.m. Friday until the 11 a.m. funeral service at the Worship Center Church of God, 420 Cardinal Drive, Bradley, with the Rev. Rick Sexton officiating. Burial will be in Momence Cemetery, Momence. She was born Nov. 25, 1946, in Starksville, Miss., the daughter of Jimmy Johnson Sr. and Louie Dell Evans. Mary was a homemaker and a resident of the area for 60 years. She was a member of the Kankakee County Auxiliary Sheriff Police, Pembroke Senior Citizen's Bloomers Club and attended St. Anne Woods Chapel in Pembroke Township. Her hobbies included fishing and playing bingo. Surviving are one daughter, Tracy Johnson, of St. Anne; two sisters, Alma Jarrett, of Pembroke Township, and Betty Logan, of Pembroke Township; six grandchildren; and 15 great-grandchildren. Preceding her in death were her parents; one son; three sisters; one brother; and one great-grandson. Taman Lafi, 85, of Pembroke Township, passed away Thursday (June 2, 2016) at Riverside Medical Center in Kankakee. She was born Aug. 21, 1930, in Laurel, Miss., the daughter of Luther and Isabella Bender McGree. Taman was a resident of the area for 51 years, and was a registered nurse who retired from Shapiro Developmental Center, Kankakee. She enjoyed gardening and attended Bible Witness Camp Church in Pembroke Township. 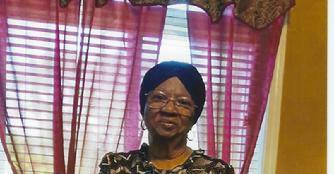 Surviving are a daughter, Ernestine Phillips, of Pine Bluff, Ark. ; four sons, Jaleel A. (Carol) Lafi II, of Pembroke Township, Jareed (Virgie) Lafi, of Pembroke Township, Jamal Udden (Lana) Lafi, of Pembroke Township, and Fharis (Edna) Lafi, of Chicago; 22 grandchildren; a host of great- and great-great grandchildren; one brother, David McGree, of Columbus, Ohio; and two sisters, Oralee Washington, of Laurel, Miss., and Mildred Lindsey, of Columbus, Ohio. Preceding her in death were her parents; husband; two sons; one brother; and six sisters. Visitation will be from 10 a.m. Saturday until the 11 a.m. funeral services at St. Anne Woods Chapel, 13162E. 6000 S. Road, Pembroke Township. The Rev. Louis Barnes will officiate. Burial will be in Mound Grove Gardens Cemetery in Kankakee. 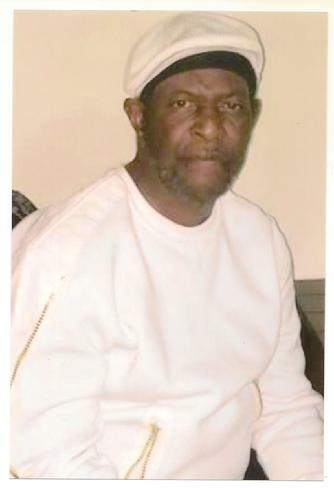 Marlon Felton, 60, of Kankakee, passed away Saturday (April 30, 2016) at Presence Villa Franciscan Center in Joliet. He was born Oct. 12, 1955, in Chicago, the son of James Sr. and Annie M. Murry Felton. Marlon was a meat cutter at Johnsonville Packing Co. in Momence. 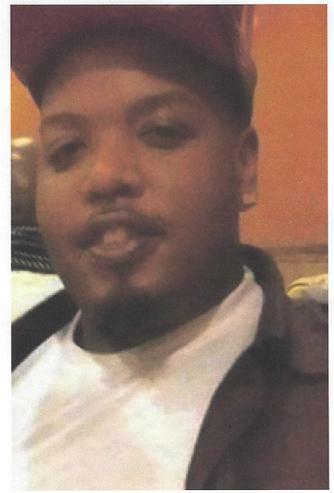 He attended Greater St. Paul Baptist Church in Hopkins Park. He enjoyed fishing, hunting, gardening, hiking, camping and raising animals. Surviving are one son, Marlon Felton Jr., of Chicago; and one daughter, Mattise Felton, of San Francisco, Calif.; one brother, Jerry (Delois) Felton, of Crete; and three sisters, Annette Carter, of Crete, Helen Taylor, of Kankakee, and Cindy Well (Frank) Griffin, of Kankakee. Preceding him in death were his parents; and two brothers. Joan Branson, 66, of Bourbonnais, passed away Sunday (April 24, 2016) at Presence Heritage Village in Kankakee. She was born Nov. 7, 1949, in Chicago, the daughter of Cornelius Marshall and Georgia Bady. Joan married Roger Branson in 1986, in Kankakee. Joan was a retired claims representative with the Social Security Administration. She also was a secretary for Kankakee County Federal Employees Credit Union, a church volunteer and an election judge. She attended Bible Witness Camp Church in Pembroke Township. She enjoyed fishing, baking, sewing and listening to contemporary jazz. Surviving are her husband, of Kankakee; two surrogate sons, Lamont Williams, of Phoenix, Ariz., and Justin Williams, of Reno, Nev.; two sisters, Elonora Hudson, of Kankakee, and Alice Lee, of Kankakee; adopted sister, Barbara Williams, of Sun River Terrace; and special friends, Melody Cartwright, of Kankakee, Rebecca McMillan, of Pembroke Township, and Janet Hanson, of Bourbonnais. Preceding her in death were her parents; sister, Aramynthya (Margaret) Saxon; brothers, Arthur and George Marshall; and aunts, uncles and a nephew. Visitation will be from 9 a.m. Friday until the 11 a.m. funeral services at Bible Witness Camp, 16089 E 2500S Road, Pembroke Township. The Rev. David McMillan will officiate. Burial will be in Mound Grove Cemetery in Kankakee. Frank Johnson, 55, of Bourbonnais, passed away Friday (Feb. 26, 2016) at Riverside Medical Center in Kankakee. He was born May 5, 1960, in Chicago, the son of James and Luberta Snow Johnson. Frank was president of Kankakee Valley Environmental Group in Kankakee. He was a member of the Rotary Club and attended Harvey Church of Christ in Harvey. Surviving are his son, Jason Johnson, of Lithonia, Ga.; daughters, Janai Johnson, of Bourbonnais, and Jalia Johnson, of Athens, Ga.; sisters, Francina (Richard) Miller, of Chicago, Darlene (David) Dunmore, of Robbins, and Tania Johnson, of Chicago. Preceding him in death were his parents; two sisters; and five brothers. Cremation rites have been accorded. Memorial services will be at 11 a.m. Saturday at Harvey Church of Christ, 15246 Marshfield Ave., Harvey. The Rev. Eddie Gillis will officiate. Nancy Bowser, 78, of Pembroke Township, passed away Feb. 4, 2016, at her home. Visitation will be from 9 a.m. Saturday until the 11 a.m. funeral services at Greater St. Paul Baptist Church in Hopkins Park, with the Rev. Lleroy King officiating. Burial will be in Momence Cemetery in Momence. Funeral arrangements are being handled by Leggett Funeral Home, Hopkins Park. Joe W. Glass Sr., 83, of Pembroke Township, passed away on Saturday (Jan. 30, 2016) at Riverside Medical Center in Kankakee. He was born Oct. 27, 1932, in Reform, Ala., the son of Joe Nathan and Carrie B. Dantzler Glass. Joe married Elizabeth Davis in March of 1953, in Muskegon, Mich. She preceded him in death on Jan. 16, 2016. Mr. Glass was an area resident for 55 years, who retired as a sandblaster from Chicago Bridge and Iron Company. He was a corporal in the U.S. Army, serving in Korea. 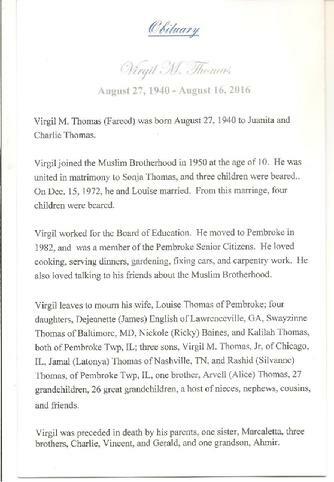 He was member of NABVETS Pembroke Chapter 0084, and on the deacon board at St. Anne Woods Chapel where he was a member and was also a member of K-Land Singers. He enjoyed fishing, hunting and working with crafts. 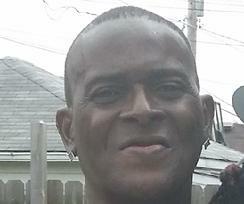 Survivors include three sons, Donell Glass, of Milwaukee, Wis., the Rev. Joe Glass Jr., of Rantoul, and Michael Glass, of Elgin; four daughters, Marsha Perry, of Pembroke Township, Mae (Tommy) Wallace, of Urbana, Eileen Holliday, of Kankakee, and Carrie Glass, of Pembroke Township; seven brothers, Willie A. (Lily) Glass, of California, Charles (Rachael) Glass, of Huntsville, Ala., Raymond (Emma) Glass, of Oklahoma, Jerry Glass and Lavon Glass, of Reform, Ala., Willie J. (Penny) Glass, of Tuscaloosa, Ala., and Bobby (Marion) Glass, of Nashville, Tenn.; four sisters, Carrie Latham and Mary Stewart, both of Reform, Ala., Maggie (Freddy) Gray, of New York, and Jonell (Jeff) Watson, of Georgia; 26 grandchildren; 56 great-grandchildren; and four great-great-grandchildren. In addition to his wife, he was preceded in death by two brothers, Newburn and Wadell Glass; one sister, Annie Ruth Davis; and two sons, Raynard and Arthur Glass. Visitation will be from 5 p.m. to 7 p.m. Friday at Leggett Funeral Home in Hopkins Park. An additional time for visitation will be from 9 a.m. Saturday until the 10 a.m. funeral services at St. Anne Woods Chapel, 13162 E 6000 S Road, Pembroke Township, with the Rev. Louis Barnes officiating. Burial, with military rites by the Momence Honor Guard will be in Momence Cemetery in Momence. Doris Sanders, 82, of Pembroke Township, passed away Jan. 16, 2016, at Presence Heritage Village in Kankakee. She was born Sept. 1, 1933. in Moscow, Tenn., the daughter of Will Bradley and Roxie Goodman. Doris was a retired aide at Good Shepherd Manor in Momence. She had been a resident of the area for 50 years. She attended St. Anne Woods Chapel in St. Anne, and was on the Mother's Board there. Her hobbies included Bible study, Sunday school, gardening, fishing, cooking, traveling and visiting with family. Surviving are two daughters, Darlene Jefferson, of Texas, and Cynthia Holeman, of Pembroke Township; five sons, Willey (Cherry) Marshall, of Kankakee, Willie (Arnettia) Marshall, of Pembroke Township, Gregory Marshall and Lamire Marshall, of Kankakee, and Marvin (Stacy) Marshall, of Milwaukee, Wis.; along with a host of grand, great-grand and great-great-granchildren. Also surviving are one stepson, Ephraim Martin Jr., of Pembroke Township; seven stepdaughters, Joyce Sterling, of Memphis, Tenn., Mary Sanders-Douglas, of California, Regina Sanders, of Mason, Mich., Marcia Sanders-Smith, of Illinois, Susan Sanders-Jackson, of Illinois, TaMorie Sanders-Harris, of Illinois, and Carla Sanders, of Illinois. Preceding her in death were one daughter, Mary Marshall; two sisters, Elise Watson and Queenie Hooks; three brothers, Doncie L. Bradley, Willie T. Bradley and Theorphia J. Bradley. Visitation will be from 9 a.m. Saturday until the 11 a.m. funeral services at St. Anne Woods Chapel in St. Anne, with the Rev. Louis Barnes officiating. Burial will be in Mound Grove Gardens in Kankakee. Elizabeth Glass, 76, of Pembroke Township, passed away Saturday (Jan. 16, 2016) at Presence St. Mary's Hospital in Kankakee. 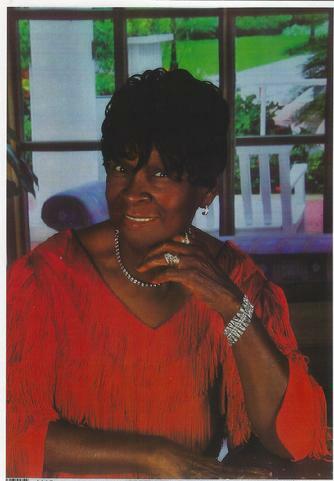 She was born Oct. 28, 1939, in Billips, Miss., the daughter of Joseph P. and Harriet E. Toles Davis. Elizabeth married Joe W. Glass in March of 1953, in Muskegon, Mich.
Mrs. Glass worked at and retired from Riverside Medical Center as a housekeeper. 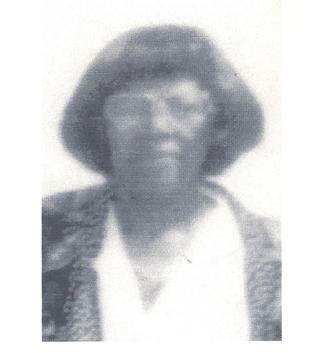 She was a member of St. Anne Woods Chapel, St. Anne, and was on the Mother's Board there. She also enjoyed sewing. Survivors include her husband, Joe. W. Glass, of Pembroke Township. ; three sons, Donell Glass, of Milwaukee, Wis., Rev. Joe Glass Jr., of Rantoul, and Michael Glass, of Elgin; four daughters, Marsha Perry, of Pembroke Township, Mae (Tommy) Wallace, of Urbana, Eileen Holliday, of Kankakee, and Carrie Glass, of Pembroke Township; one brother, Thomas (Dorothy) Davis, of Muskegon, Mich.; six sisters, Lorene Hughes, of Pembroke Township, and Betty Watkins, Racheal Wallace, Shirley Davis, Delores Davis and Jerlean Davis, all of Muskegon, Mich.; along with a host of grandchildren, great-grandchildren and great-great-grandchildren. Preceding her in death were two sons, Raynard Glass and Arthur Glass; her parents; one sister; and three brothers. Visitation will be from 5 p.m. to 7 p.m. Friday at Leggett Funeral Home in Hopkins Park. An additional time for visitation will be from 10 a.m. Saturday until the 11 a.m. funeral services at St. Anne Woods Chapel in St. Anne, with the Rev. Louis Barnes officiating. Burial will be in Momence Cemetery, Ganeer Township. 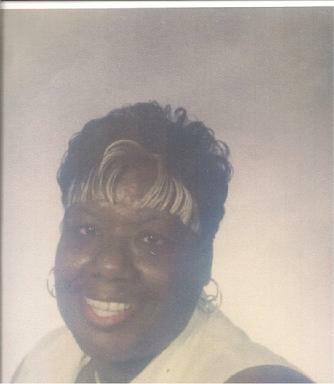 Alesia M. Brown, 55, of Pembroke Twp., passed away Dec. 8, 2015, at Riverside Medical Center in Kankakee. She was born July 5, 1960, in Chicago, the daughter of Robert Burks and Gertrude Robbins. She married James B. Brown on Nov. 21, 2002, in Kankakee. Alesia was a cashier at Walmart. She was a resident of the area for 43 years. She enjoyed sewing, crocheting and crossword puzzles. She attended Union Baptist M.B. Church, Hopkins Park. Survivors include her husband, James B. Brown, of Pembroke Twp. ; two sons, Anton Burks, of Phoenix, Ariz., and Dawayne B. (Avanda) Brown, Jacksonville, Ark. ; two daughters, Keisha (Charles) Weathersby, of Kankakee, and Keva (Christopher) Walsh, of Joliet; one brother, Clarence (Linda) Burks, of Chicago; four sisters, Gertrude McCraney, of Kankakee, Desiree Burks, of Kankakee, Maxine Burks, of Chicago, Denise Burks, of Kankakee; and seven grandchildren. Preceding her in death were her parents and two grandchildren. Visitation will be 9 a.m. Saturday until the 10 a.m. funeral services at Victorious Life Ministry (Church of the Cross), in Momence. The Rev. Rodney Lake will officiate. Burial will be in Mound Grove Garden Cemetery in Kankakee. 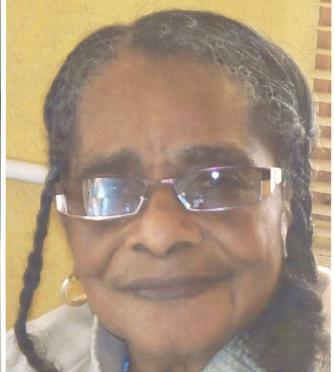 Zennia Brooks-Young, 83, of Pembroke Township, passed away Saturday, Nov. 28, 2015, at her home. She was born Feb. 27, 1932, in Lexington, Va., the daughter of Edison and Sallie Cooper Long. 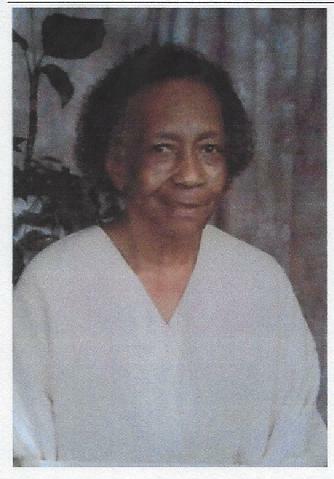 Zennia was a resident of the area for 52 years, a retired upholstery worker for Koehler Manufacturing and attended Christian Hope Missionary Baptist Church. Her hobbies included cooking and spending time with her grandchildren. Surviving are one daughter, Sheallah Muhammad, of Pembroke Township; one son, Darren Brooks, of Fairfield, Va.; four brothers, Earl Long, of Lexington, Va., Pete (Arlene) Long, of Richmond, Va., Clarence (Danielle) Long, of Richmond, Va., and Fred (Alatha) Long, of Richmond, Va.; two sisters, Cornelia Parham, of Richmond, Va., and Ruby (Roosevelt) White, of Urbanna, Va.; seven grandchildren; and one great-grandchild. Preceding her in death were her husband; and one son. Visitation will be from 9 a.m. Monday until the 11 a.m. funeral services at Victorious Life Ministry (Church of the Cross) in Momence, with the Rev. Rodney Lake officiating. Burial will be in Momence Cemetery, Momence. 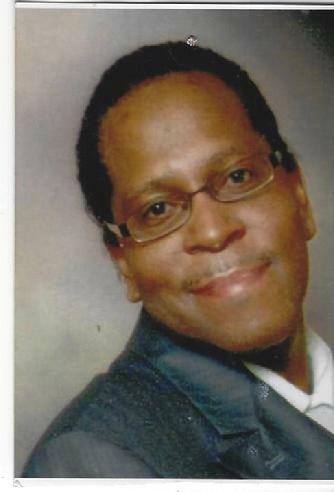 Maurice K. Ivy, 54, of Sun River Terrace, passed away Oct. 12, 2015, at University of Chicago Hospital in Chicago. He was born Aug. 26, 1961, in Chicago, the son of Ervin and Rosie Lewis Ivy. Maurice married Margaret Scott on Aug. 12, 1989, in Kankakee. Mr. Ivy was a laborer for highway construction companies, and a member of Local 751. He was a 1979 graduate of St. Anne High School. His hobbies included gardening, basketball, disc jockeying and watching sports on TV. He attended Fair Haven Church of God in Christ in Kankakee. Surviving are his wife, of Sun River Terrace; son, Jamel (Aloma) Childs, of Atlanta, Ga.; two daughters, Mariah Ivy, of Columbus, Ohio, and Shanika (James) Stevenson, of Kankakee; his parents, of Pembroke Township; one brother, Terence Ivy, of Joliet; and two sisters, Renita (Michael) Carson, of Joliet, and Evera J. Ivy, of Matteson; 19 grandchildren; and two great-grandchildren. Preceding him in death were a daughter; and his grandparents. Visitation will be from 5 p.m. to 7 p.m. Friday at Leggett Funeral Home in Hopkins Park. An additional time for visitation will be from 9 a.m. Saturday until the 10 a.m. funeral services at Morning Star Missionary Baptist Church in Kankakee, with the Rev. Carl Randle officiating. Burial will follow in Mound Grove Cemetery, Kankakee. 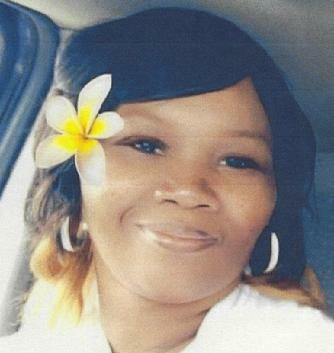 Lenora V. Roberson, 50, of Momence, passed away Saturday (Oct. 3, 2015) at Loyola University Medical Center in Maywood. Lenora was a dietary worker at Olivet Nazarene University in Bourbonnais. She had been a resident of the area for 50 years. She graduated from Momence High School with the class of 1983. She attended Kankakee Community College. Lenora was a member of First Baptist Church in Momence. Her hobbies included cooking and watching cooking shows on TV. Surviving are two sons, Trishten Roberson, of Pembroke Township, and Marcus Roberson, of Momence; one daughter, Mya Roberson, of Momence; her mother, of Momence; two brothers, Keith Roberson, of Chicago, and Derek Roberson-Spears, of Kankakee; three sisters, Mildred Young, of Kankakee, Gloria (Michael) Walker, of Bradley, and Kimberly (Jasper) Jones, of Sun River Terrace; and one granddaughter. Preceding her in death were her father; and her grandparents. Visitation will be from 9 a.m. Friday until the 11 a.m. funeral services at First Baptist Church in Momence, with the Rev. Rick McKinney officiating. Burial will be in Momence Cemetery, Momence. 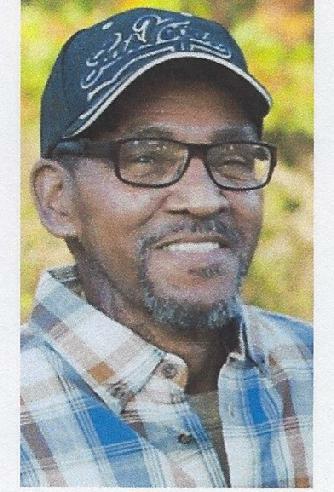 James Felton Jr., 64, of Del Valle, Texas, and formerly of the Hopkins Park area, passed away Sept. 2, 2015, at St. David's Medical Center in Austin, Texas. He was born April 25, 1951, in Shaw, Miss., the son of James Sr. and Annie Mae Murry Felton. James married Coorine Jackson on Sept. 1, 1997 in Austin, Texas. She survives, of Del Valle, Texas. James was the owner of Jayco Building Maintenance Company. He attended Goodwill Baptist Church in Austin, Texas. In addition to his wife, surviving are one daughter, Carla Felton, of Carbondale; three sons, Corey Felton, of Kankakee, Marlin (Patrice) Woodard, of Hopkins Park, and Thomas Felton, of Austin, Texas; two brothers, Jerry (Lois) Felton, of Monee, and Marlon Felton, of Kankakee; three sisters, Helen Taylor, of Aroma Park, Cindy (Frank) Griffin, of Kankakee; and Annette Carter-Blue, of Monee; along with nine grandchildren; and two great-grandchildren. Preceding him in death were his parents; and one brother. Visitation will be from 9 a.m. Thursday, Sept. 17, until the 11 a.m. services at True Vine C.O.G.I.C., 600 South Harrison Ave., Kankakee, with the Rev. Micheal Taylor officiating. Burial will follow in Momence Cemetery, Momence. Bertha Henderson, 101, of Pembroke Township, passed away July 21, 2015, at Riverside Medical Center in Kankakee. Mrs. Henderson retired as a mental health technician from Manteno State Hospital in Manteno. She was a resident of the Pembroke Township area for 57 years. 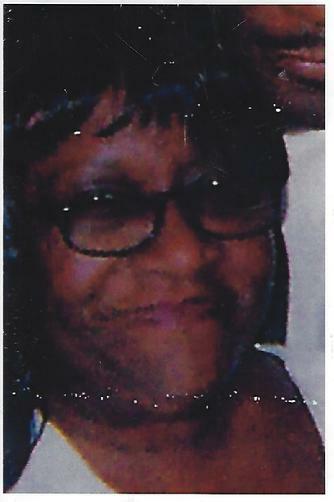 She was a member of Christian Hope Missionary Baptist Church in Hopkins Park and on the church's Mother's Board, a member of AFSCME retirees group, Pembroke Senior Citizens' group and an Avon representative for 20 years. Surviving are one daughter, Stephanie (Stevie) McCrary, of Pembroke Township; one sister, Emma Bacon, of Hopkinsville, Ky.; two grandchildren; 12 great-grandchildren; and three great-great-grandchildren. Preceding her in death were her husband; one son; one granddaughter; three sisters; and one brother. Visitation will be from 10 a.m. Saturday until the 11 a.m. funeral services at Christian Hope Missionary Baptist Church in Hopkins Park, with the Rev. Clarence Dailey officiating. Burial will folllow in Momence Cemetery, Momence. 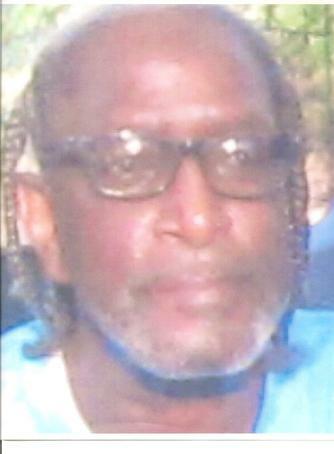 Jeffery Johnson, 55, of Kankakee, passed away Monday (June 8, 2015) at Riverside Medical Center in Kankakee. He was a butcher for Momence Meat Packing Company in Momence. Jeffery enjoyed fishing. Survivors include three daughters, Katrina Mobley, of Waukesha, Wis., Quanda Mobley, of Milwaukee, Wis., and Jasmine Johnson, of Kankakee; three sons, Jeffery Mobley, of Hartford, Wis., Quincy Mobley, of Chicago, and Malcom Johnson, of Kankakee; brother, Adam (Helen) Johnson, of Rancho Santa Margarita, Calif.; four sisters, Shirley (the Rev. Clyde) Moore, of Lockport, Julia (Steven) Brewer, of Pembroke; Lily (Walter) Davis, of Pembroke, and Viola (Elder Stephan) Burse, of Kankakee; and six grandchildren. Preceding him in death were his parents; one brother; and one sister. Visitation will be from 10 a.m. Saturday until the 11 a.m. funeral service at New Jackson Tabernacle C.O.G.I.C., 668 E. Mulberry, Kankakee, with Elder Stephan Burse officiating. Burial will be in Momence Cemetery in Ganeer Township. 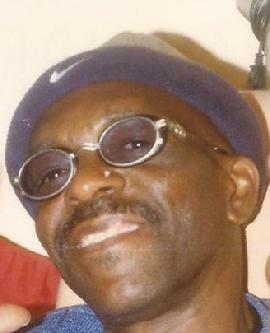 Fredrick "Shorty" Jones, 62, of Pembroke Township, passed away Friday (April 10, 2015) at Riverside Medical Center in Kankakee. He was born Sept. 4, 1952, in Wardell, Mo., the son of Charlie and Vernice Jones Bibbs. He married Johnetta Fisher in 1985 in Kankakee. Mr. Jones was farmer and resident of the area for 48 years. His hobbies included horseback riding and raising animals. Surviving are his wife, of Pembroke Township; two daughters, Teresa Crowell, of Kankakee, Torria "Penny" Wells, of Minnesota; three sons, Robert Fisher, Leon Fisher and Larry Fisher, all of Pembroke Township; his mother, of Pembroke Township; one brother, Tramell Jones, of Pembroke Township; eight sisters, Janice Jones, of Kankakee, Ann (Chuck) Williams, of Tunica, Miss., Phyllis Jones, of Kankakee, Carroll Bibbs, of Atlanta, Ga., Denise Jones, of Minneapolis, Minn., Cheryl Bibbs, of Kankakee, Shaqueena (Demarco) Campbell, of Nashville, Tenn., and Delores Barnes, of Kankakee; 17 grandchildren; and four great-grandchildren. Preceding him in death were his father; one son; and two brothers. Visitation will be from 9 a.m. Saturday until the 11 a.m funeral service at St. Anne Woods Community Chapel in St. Anne. The Rev. Louis Barnes will officiate. Burial will be in Momence Cemetery in Ganeer Township. 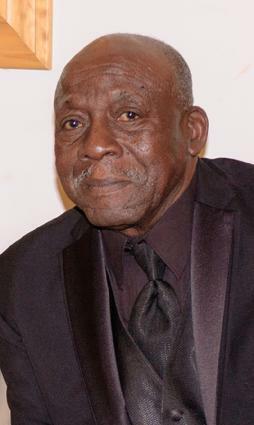 Ezra Tatum, 88, of Pembroke Township, passed away Monday (March 30, 2015) at his home. He was born Aug. 24, 1926, in Mount Olive, Miss., to Artis and Aqustavia Barron Tatum. He married Phyllis Jones on May 16, 1955, in Chicago. Mr. Tatum was a retired maintenance worker for the state of Illinois. He was a resident of this area for 62 years. He was a member of Apostolic Faith, baptized in Jesus' name and filled with the Holy Ghost in 1956. His hobbies included working on cars and farming. Survivors include his wife, Phyllis Tatum, of Pembroke Township. ; one son, Eric (Arretti) Tatum, of Bourbonnais; three daughters, Aqustavia Dramado, of Champaign, Yvonne (John) Shivers, of Bourbonnais, and Linda (Sean) Stevenson, of Bradley; special friend and caregiver, George Smith, of Pembroke Township. ; 13 grandchildren; and four great-grandchildren. Visitation will be from 9 a.m. Saturday until the 11 a.m. funeral services at Victorious Life Christian Center (Church of the Cross) in Momence, with the Rev. Claudius Anderson officiating. Burial will be in Momence Cemetery, Ganeer Township. Joe Hullum, 91, of Pembroke Township, passed away on March 31, 2015, at Manor Care Nursing Home in Kankakee. He was born on June 8, 1923, in Little Rock, Ark., to George Sr. and Estella Phillip Hullum. Joe married Eula Williams on June 3, 1979, in Chicago. He was a retired truck driver. 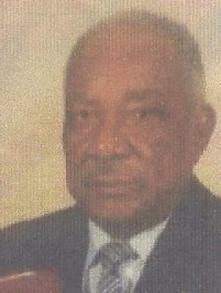 Joe was a resident of the area for 40 years, and associate minister at Wilson Memorial C.O.G.I.C. in Pembroke Township. His hobbies included playing guitar; fishing, hunting, farming and gardening. He attended Wilson Memorial C.O.G.I.C. in Pembroke. Survivors include his wife, Eula Hullum, of Pembroke Township; two sons, Cubie (Cassandra) Hullom, of Jonesboro, Ark., and Isiah (Janet) Williams, of Springfield; three daughters, Phyllis (Ernie) Mobley, of Jonesboro, Ark., Brenda Hullum, of Kankakee, and Roshanda (Victor) Escobar, of Kankakee; one brother, George Hullum Jr., of Chicago; one sister, Pairy Lee Broom, of Chicago; two stepdaughters, Ramona Williams, of Kankakee, and Rena (Jimmy) Childs, of Bourbonnais; 34 grandchildren; and a host of great-grandchildren and great-great-grandchildren. Preceding him in death were his parents; one daughter; four sisters; and five brothers. Visitation will be from 9 a.m. Saturday until the 11 a.m. funeral services at Wilson Memorial C.O.G.I.C. in Pembroke Township with the Rev. Kevin Thomas officiating. Burial will be in Momence Cemetery in Ganeer Township, north of Momence. 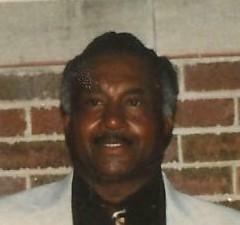 Edward Brantley, 67, of Pembroke Township, passed away Feb. 18, 2015, at his home. He was born June 11, 1947, in Greenville, Miss. 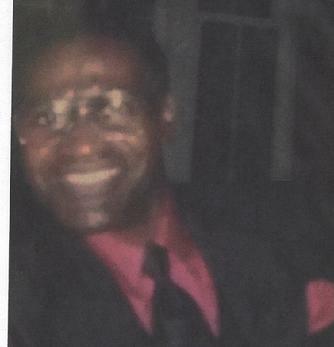 Mr. Brantley was a janitor at Lorenzo Smith School in Pembroke Township. 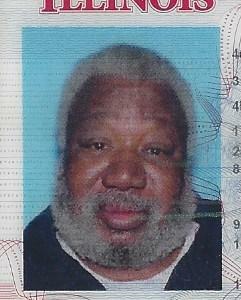 He was a resident of the the area for 30 years and enjoyed fishing, gardening and yard work. Survivors include three daughters, Queshaun Brantley, of Pine Bluff, Ark., Judy Brantley, of Pine Bluff, Ark., and Brenda Watson, of St. Anne; two sons, Jimmy (Christina) Lathan, of California, and Kenneth Flournoy, of Georgia; his mother, Ida Kelly, of Pine Bluff, Ark. 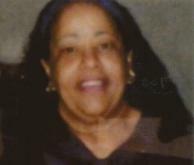 ; and special friend, Annie M. Williams, of Pembroke Township; 15 grandchildren; and 11 great-grandchildren. Preceding him in death was a brother. Cremation rites have been accorded. Memorial services will be at 11 a.m. Saturday at St. Anne Woods Chapel in St. Anne, with the Rev. Louis Barnes officiating. Brenda L. Mitchner, 53, of Arlington Heights, and formerly of the Kankakee area, passed away Thursday (Jan. 29, 2015) at Northwest Community Hospital in Arlington Heights. She was born April 19, 1961, in Chicago, the daughter of William Thompson and Oree Peden. Surviving are one daughter, Brandice Mitchner, of Arlington Heights; one son, Alexander Mitchner, of Arlington Heights; two brothers, the Rev. William (Lucy) Thompson, of Detroit, Mich., Vinson (Ernette) Thompson, of Kankakee; four sisters, Katie (T.J.) Sanders, of Kankakee, Leola Forman, of Bourbonnais, Denise (Eric) Tetter, of Kankakee, and Janette Thompson, of Kankakee; and one granddaughter, Audrey Mitchner. Preceding her in death were her husband; parents; and one sister. Funeral services will be from 9 a.m. Saturday until the 11 a.m. funeral services at Zion Gate Missionary Baptist Church in Kankakee, with the Rev. Ronald Bartlett officiating. Cremation rites will be accorded. Lee Singleton, "By Jilly," 63, of Pembroke Township, passed away Tuesday (Jan. 20, 2015) at Presence St. Mary's Hospital in Kankakee. He was born March 20, 1951, in West Helena, Ark., the son of Pervies and Beulah Wright Singleton. Lee married Genova Clemens on Jan. 8, 1975, in Kankakee. She survives, of Pembroke Township. Mr. Singleton was the owner of 4-Way Gas Station and Deli in Pembroke (The Good Food Connection). He was a resident of the area for 50 years, and his hobbies included carpentry and inventing household appliances. In addition to his wife, surviving are two sons, Maj. Eldridge (Kimberly) Singleton, of Washington, D.C., and Vincent (Danielle) Singleton, of Chicago; one daughter, April Williams-Singleton, of Kankakee; two brothers, Augustus Singleton, of East St. Louis, and Allen Singleton, of St. Louis, Mo. ; three sisters, Dr. Jewell Singleton, "Abba," the Rev. Mary Crocket, of East St. Louis, and Wilma Jean (Nathan) Isom, of East St. Louis; and eight grandchildren. Preceding him in death were his parents; and one son. 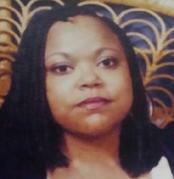 Antwanne Marcellus Brady, 41, of Des Moines, Iowa, passed away on Tuesday (Nov. 18, 2014) at Mercy Hospital in Des Moines, Iowa. He was born on Oct. 28, 1981, in Chicago to Willie Stowers and Jan Brady-Harper. He married Jackie Lofton on Jan. 5, 2006, in Chicago. Antwanne was a support worker at the Marriott Hotel. His hobbies included cooking, barbecuing, dining and playing video games. Survivors include his wife, Jackie Brady, of Des Moines; children, Jasmine, Aaron, Tierra, Janee, Rodney and Shanice; grandmother, Mrs. Myrna Brady; mother-in-law, Mrs. Shirley Dodds. Special sisters, Sherry Madison and Crystal Parker; special brothers, Kelvin Davis and Carl Thomas; aunts, Darcel, Phyllis, Alpha, Helena (Johnny) and Marla. Cousins, Aundrea and Jared. Grandchildren, Chaniya, Jonathan, Aaliyah, and Javion. Preceding him in death were his father and mother, and grandfather, Rev. Hezekiah Brady. Visitation will be at 9 a.m. Saturday until the 10 a.m. funeral services at Pembroke Fellowship Church, Pembroke. Rev. Rodney Lake will officiate. Burial will be in Momence Cemetery, Ganeer Twp. 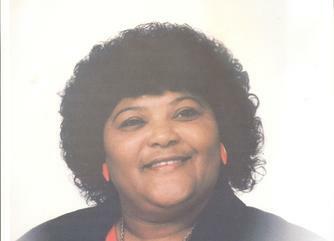 Colleen Rochelle Horbbs, 71, of Hopkins Park, passed away Monday (Nov. 17, 2014) at St. James Hospital in Chicago Heights. She was born on Jan. 28, 1943, in Chicago, the daughter of Zenobia Dunn and Nelson Cowan. Colleen was a homemaker. She was a resident of the area for 40 years. Her hobbies included fishing, bingo, playing cards and spending time with family and friends. She was married to Clarence Horbbs. He preceded her in death. Survivors include one sister, Sharon Haygood, of Kankakee; three grandchildren, Ramona Cowan, of Atlanta, Ga., and Sjmona Cowan and Isaiah Dunlap, both of Dayton, Ohio. Preceding her in death were her parents; son, Ramon Cowan; and two brothers, Freddie Cowan and Donald Haygood. Memorial services will be at 2:30 p.m. on Saturday at Leggett Funeral Home in Hopkins Park, with the Rev. Ricky Dixon officiating. Cremation rites will be accorded after the services. Ruthy Glosson, 86, of Pembroke Township, passed away Nov. 8, 2014 at home. She was born Sept. 25, 1928, in Philadelphia, Miss., the daughter of Roy and Jannie Adams Marshall. 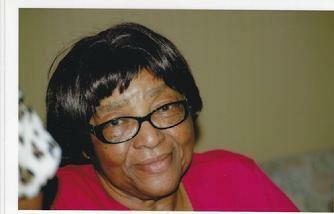 Ms. Glosson was a homemaker and area resident for 65 years and attended Gethsemane Gardens Baptist Church in Kankakee. She enjoyed gardening, canning, cooking and fishing. Surviving are her two daughters, Ivory D.W. (George) Martin, of Yuma, Ariz., Ottie Y. (Floydell) Jennings, of Bourbonnais; two sons, Micheal R. Moore Sr., of Pembroke Township, Sidney E. (Pearl) Moore III, of Pembroke Township; two brothers, Adams (Jean) Marshall, of Pembroke Township, the Rev. Ervin (Mae) Marshall Sr., of Sun River Terrace; four sisters, Clotee Murray, of Pembroke Township, Loreath Rone, of Pembroke Township, Irene Woods, of Chicago, Murline Binford, of Sun River Terrace; 15 grandchildren; 35 great-grandchildren; and several great-great-grandchildren. Preceding her in death were four sons; one daughter; one grandson; eight brothers; two sisters; her parents; and three great-grandchildren. Visitation will be from 10 a.m. Tuesday until the 11 a.m. funeral services at Gethsemane Gardens Missionary Baptist Church in Kankakee, with her nephew, the Rev. Ervin Marshall Jr., officiating. Burial will follow at Momence Cemetery, Momence. 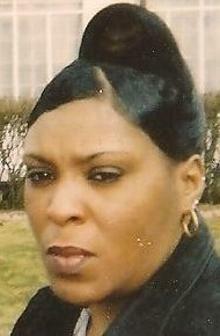 Terri Lynn Lee, 59, of Kankakee, passed away Wednesday (Nov. 5, 2014) at Riverside Medical Center in Kankakee. She was born Feb. 16, 1955, in Kankakee, the daughter of Lewis B. and Edna Caldonia Macon Holtzclaw. Ms. Lee was a retired correctional officer at the Kankakee Minimum Security Prison and a resident of the Kankakee area for 35 years. 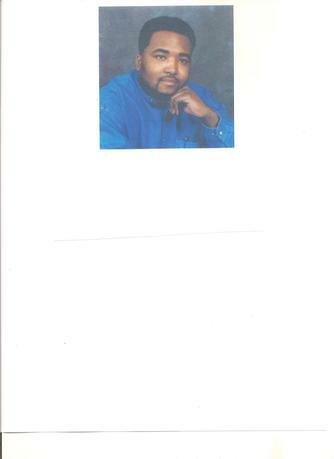 Surviving are one son, Gary (Tina) Lee Jr., of Kankakee; one daughter, Terra Lee, of Kankakee; and five grandchildren. Preceding her in death were her parents; and two brothers. Visitation will be at 9 a.m. Thursday until the 11 a.m. funeral services at Zion Gate Missionary Baptist Church, 752 E. Oak St., Kankakee, with the Rev. Ronald Bartlett officiating. Cremation rites will be accorded. 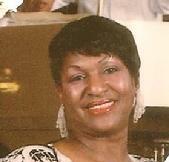 Sheila Franklin, 64, of Kankakee, passed away on Oct. 18, 2014, in St. Louis, Mo. Visitation for Sheila will be from 5 p.m. to 7 p.m. Thursday at the Free Christian Center, 111 East Oak St. in Kankakee. An additional time for visitation will be from 10 a.m. Friday until the 11 a.m. funeral services, also at the church, with the Rev. Christopher Clark officiating. Funeral arrangements are being handled by Leggett Funeral Home. Ms. Franklin was born on Oct. 16, 1950, in New Albany, Miss., the daughter of Harvey Ezell Franklin Sr. and Louise Franklin. She was a 1971 graduate of Eastridge High School in Kankakee and attended Olivet Nazarene University for a brief time. She was employed by Kankakee State Hospital. Ms. Franklin enjoyed traveling, shopping, reading and spending time with her grandchildren. Leaving to cherish her memories are three daughters, Aleshia (Cherie) Franklin, Kizzy (Terry) Bright and Yamanikia (Jamayal) Franklin, all of Kankakee; two sons, Darrick (Tammy) Franklin, of Jackson, Miss., and Emmanual (Sharron) Franklin, of Kankakee; 12 grandchildren, Demecia Franklin, Derrionna Franklin, Shania Williams, James Grant, Darrick Franklin Jr., Shanika Travis, Dana Adams, Quanta Grant, Shavonta Williams, Trejuare Grant, Briyyante Grant and Kimniya Franklin. Also surviving are three sisters, Lois Franklin, of Memphis, Tenn., Heleon Phillips, of Joliet, and Helen (Christopher) Smith, of Denver; five brothers, Charles (Ruth) Franklin, of Joliet, Hayes (Francine) Franklin, of Ripley, Miss., Harvey (Pamela) Franklin, of Memphis, Tenn., Robert (Kimberly) Franklin, of Bay Minette, Ala., and Steve Franklin, of Chicago; two uncles, Seal (Agnes) Brown and Sam (Pauline) Vincent; special cousin, Vanessa Brown; special sisters, Claudine Thompson and Katerine Brooks; and a host of nieces and nephews. Preceding her in death were her parents; two sisters, Yvonne DeCarla Franklin and Mary Louis Franklin; and best friend, Dorothy Edwards. 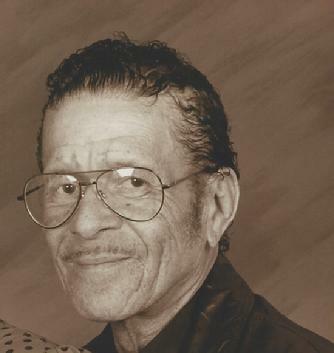 Jimmie Lee Hughes, 81, of Pembroke Township, passed away Oct. 9, 2014, at his home. He was born June 9, 1933, in Reform, Ala., the son of C.D. and Lillie Brown Jones. Jimmie married Lorrene Davis on Sept. 5, 1953, in Muskegon, Mich.
Mr. Hughes served in the U.S. Army in Korea. He was a retired heavy equipment operator, a resident of the Pembroke Township area for 54 years, a deacon at St. Anne Woods Community Chapel in St. Anne, a member of NABVET and enjoyed riding motorcycles. Surviving are his wife, of Pembroke Township; one daughter, Linda (Alexander) Sherman, of Kankakee; three sons, James (Modestine) Hughes, of Arvene, N.Y., Jerry Hughes, and Glenn Hughes, both of Pembroke Township; 12 grandchildren; five great-grandchildren; one brother, Joseph (Elaine) Glass, of Matteson; special friends, Michael Watkins, Teddy Jenkins and Leroy Ellis. Visitation will be from 9 a.m. Saturday until the 11 a.m. funeral services at St. Anne Woods Community Chapel in St. Anne, with the Rev. Louis Barnes officiating. Burial will follow in Momence Cemetery. Leggett Funeral Home in Hopkins Park is handling the funeral arrangements. 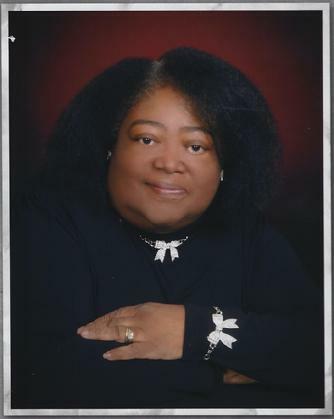 Bertha Deborah Bradley, 69, of Pembroke Township, passed away Friday (Oct. 3, 2014) after a long illness.She was born Nov. 11, 1944, in Chicago Heights, the daughter of the Rev. Major and Amie Simon McDonald. years of service, served as a trustee of the Pembroke Fire Protection District and was a St. Anne High School Board Member. playing cards, caring for pets and she enjoyed family gatherings and vacations. Surviving are three sons, Jamal (Ida) Simington, of Bloomington, Leon Mondy, of Pembroke Township, Alexander (Tiara) Mondy, of Kankakee; two stepdaughters, Teresa Mondy, of Kankakee, Alyce Mondy, of Greenwood, Ind. ; one brother, Major McDonald Jr., of Kankakee; and eight grandchildren, Sharona, Tonita, Corey, Miles, Makayla, Elon, Kaden and Jai. Visitation will be from 10:30 a.m. Friday until the noon funeral services at Morning Star Baptist Church in Kankakee, with the Rev. Howard L. Wills Jr. officiating. Cremation rites have been accorded. 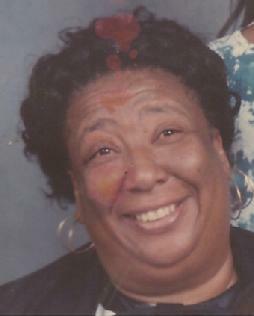 Gloria Douglas, 77, of Kankakee, passed away Sunday (Sept. 28, 2014) at Presence St. Mary's Hospital in Kankakee. She was born Oct. 1, 1936, in Chicago. 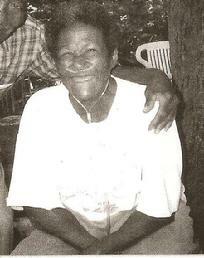 Gloria was a retired mental health technician at Shapiro Developmental Center in Kankakee. 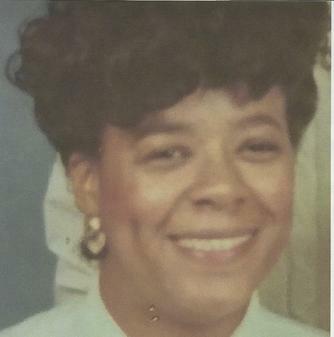 A resident of the area for 55 years, she was a member of Greater Goodwill Missionary Baptist Church in Momence and on the mother's board at the church, enjoyed playing bingo and was an avid Chicago Bulls fan. Surviving are two daughters, Camille Douglas, of Kankakee, and Tanya Douglas, of Kankakee; three sons, Carlos (Shirley) Douglas, of Park Forest, Tommy (Shelia) Douglas, of Atlanta, Ga., and Kevin (Tammi) Douglas, of Kankakee; 11 grandchildren; and 17 great-grandchildren. Preceding her in death were her husband; and two sons. Visitation will be from 9 a.m. Saturday until the 11 a.m. funeral services at Shiloh Full Gospel Church, 963 S. Dearborn Ave., Kankakee, with Bishop James E. Richards officiating. Burial will follow in Momence Cemetery. Elvia Lee Steward, 97, of Pembroke Township, passed away Friday (Aug. 1, 2014) at Presence Our Lady of Victory Nursing Home in Bourbonnais. She was born Aug. 26, 1916, in La Crosse, Va., the daughter of James Harris and Lelia Spencer. 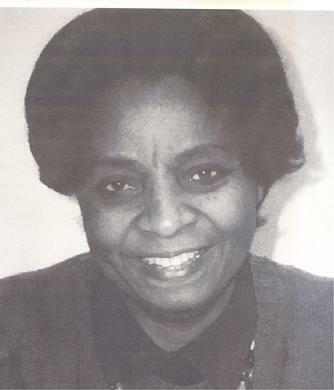 Elvia was a resident of the Pembroke Township area for 50 years; a retired mental health technician at the Manteno State Hospital; former Pembroke Township Clerk; co-county chairman of the Democratic party; and a member of Pembroke Fellowship Church in St. Anne. She served the community in many ways as a member of the board of directors for CRAFT and PAFHC; a charter member of the Sheriff Merit Commission; charter member and secretary of AFSCME Council 31; executive board, secretary, treasurer and president of AFSCME 57 retirees; president of the Pembroke Community Choir; a member of Habitat for Humanity; member of the area agency on aging's advisory board; chairperson for Kankakee Triad, Kankakee County Sheriff's Department; president of the Kankakee Mental Health Council; and recipient of the Bell Morgan Mental Health Award. Surviving are her two nieces, Ardell Thompson, of Washington DC, and Erica (Kieran) Carden, of Maryland; three nephews, Kevin Simmons, of Washington DC, Paul Virgo, of Maryland, and Larry Walker, of California; and great nieces, Chelsea, Patricia, Natalie, Carden, and Sophia Virgo. Preceding her in death were two husbands; two brothers; and four sisters. Visitation will be from 9 a.m. Saturday until the 10 a.m. funeral services at Pembroke Fellowship Church, 13279 E. 5000S Road, St. Anne, with the Rev. Rodney Lake officiating. Burial will be in Burr Oak Cemetery in Alsip. 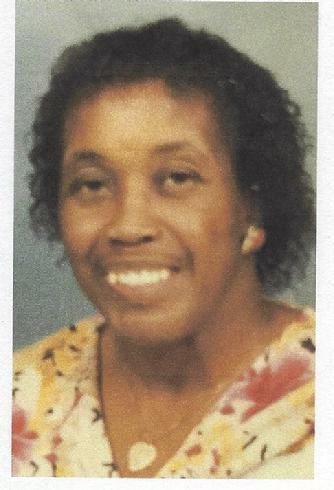 Dorothy Croom, 69, of Pembroke Township, passed away Friday (Aug. 1, 2014) at Riverside Medical Center in Kankakee. 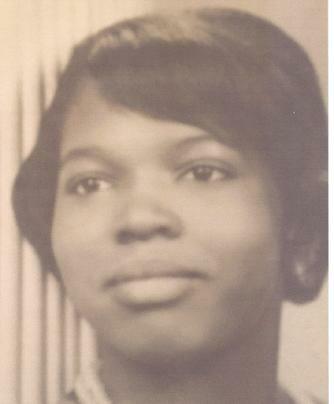 She was born July 6, 1945, in Shaw, Miss., the daughter of Horace Misters and Essie Mae Smith. Dorothy was a resident of the Pembroke Township area for 15 years, a homemaker, and enjoyed cooking, gardening and shopping. 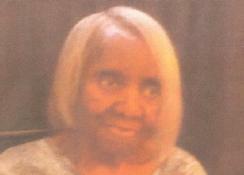 She was a member of Greater St. Paul Baptist Church, Hopkins Park. Surviving are a daughter, Jacqueline Croom, of Kankakee; two sons, Jerome Misters, and Dennis (Marie) Misters, all of Pembroke Township; five sisters, Margaret Love, and Lillie (Willie) Pittman, all of Chicago, Katherine Copeland, of Madison, Ala., Marine Wright, of Kankakee, and Pearl Gholston, of Pembroke Township; 11 grandchildren; and one great-grandchild. Preceding her in death were her parents; and one brother. Visitation will be from 9 a.m. Saturday until the 10 a.m. funeral services at Greater St. Paul Baptist Church, 4347 South Walnut in Hopkins Park, with the Rev. Llewroy King officiating. Burial will be in Burr Oak Cemetery in Alsip. 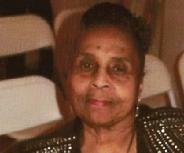 Leona Childress, 87, of Pembroke Township, passed away Sunday (July 13, 2014) at her home. Visitation will be from 10 a.m. Monday until the 11 a.m. funeral services at St. Anne Woods Chapel in St. Anne, with the Rev. Louis Barnes officiating. Burial will be in Mt. Glenwood Cemetery in Glenwood. 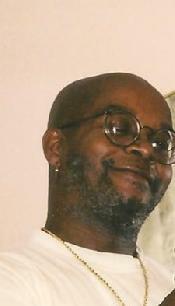 William Burse, 62, of Pembroke Township, passed away Saturday (June 14, 2014) at his home. Mr. Burse was born July 12, 1951, in Chicago, the son of J.D. Sr. and Mary Ella Jones Burse. He served in the U.S. Army in Vietnam, was an elder of the Church of God in Christ, a resident of the Pembroke Township area for 62 years, and his hobbies included fishing and playing guitar. Surviving are two sons, Jason (Nakita) Burse, of St. Anne, and Gabriel (Ashanda) Burse, of Bellwood; one daughter, Willary Burse, of Chicago; his mother, Mary Burse-Wright, of Pembroke Township; five brothers, Murion Burse, of Peoria; J.D. (Marion) Burse Jr., of Omaha, Neb., Stephan (Viola) Burse, of Kankakee, Terrance Burse, of Rantoul, and Earnest Burse, of Kankakee; five sisters, Debria Leach, of Huntsville, Ala., Michelle Burse, of Indianapolis, Lawana Burse, of Pembroke Township, Arnita (Elder Olatunde) Ogunyemi, of Ruston, La., and Shenery Burse, of Rantoul; and 10 grandchildren. Visitation will be from 5 p.m. to 7 p.m. Monday at New Jackson Tabernacle Church in Kankakee and again from 10 a.m. until the 11 a.m. funeral services on Tuesday, also at New Jackson Tabernacle Church with the Rev. Tommie Wright officiating. Arrangements are being handled by Leggett Funeral Home, Hopkins Park. 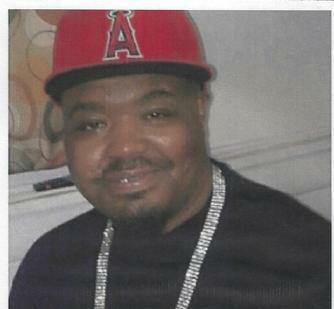 Lashawn M. Eubanks, 36, of Pembroke Township, passed away May 19, 2014, at Rush Presbyterian St. Luke's Medical Center in Chicago. Visitation will be from 9 a.m. Saturday, May 31, until the 10 a.m. funeral service at St. Anne Woods Community Chapel, St. Anne. The Rev. Louis Barnes will officiate. Burial will be in Burr Oaks Cemetery, Alsip. Leggett Funeral Home, Hopkins Park, is in charge of arrangements. 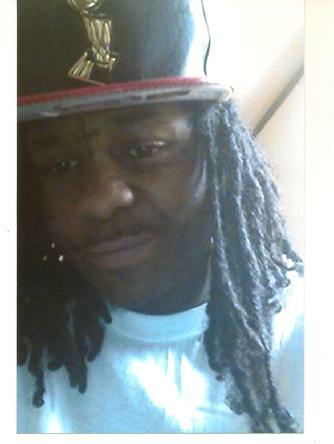 Derrick Baines, 32, of Sun River Terrace, passed away Feb. 5, 2014. Visitation will be from 9 a.m. Monday, Feb. 17, until the 11 a.m. funeral service at St. Anne Woods Chapel. The Rev. Louis Barnes will officiate. Burial will be in Mound Grove Gardens of Memory, Kankakee. Leggett Funeral Home, Hopkins Park, is in charge of arrangements. Albert “Big Al” McCoy was born January 21, 1940 to William McCoy Sr.
and Laura Tolliver in Chicago, IL. humorous personality. His joy was talking trash and dancing. joined Gethsemane Gardens in Kankakee where he served as a deacon. death by his wife, both parents, 4 brothers and 2 stepchildren. 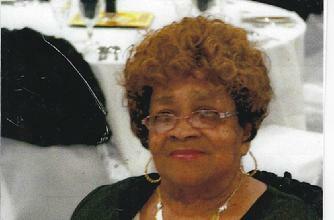 Irene Seals, 77, of Pembroke Township, passed away Thursday (Nov. 28, 2013) at Riverside Medical Center, Kankakee. Visitation will be at 9 a.m. until the 11 a.m. services on Saturday at Victorious Life Ministries (Church of the Cross) in Momence. The Rev. Louis Barnes will officiate. Cremation rights will be accorded. She was born July 29, 1936, in Chicago, the daughter of William and Willa Anderson Ramsey. She was owner of Boots and Saddle Ranch in Pembroke Township, a resident of the area for 35 years, a home health nurse, a social worker for Catholic Charities and enjoyed horseback riding, bowling and farming. Surviving are one daughter, Diane McDonald, and one son, Davis McDonald, both of Pembroke Township; four grandchildren and seven great-grandchildren. Preceding her in death were her husband, one granddaughter, one brother, one sister and her parents.